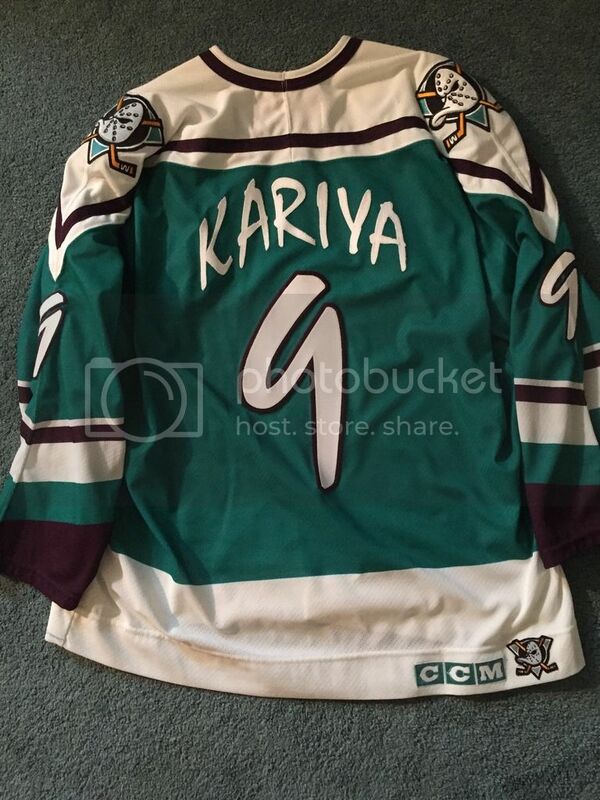 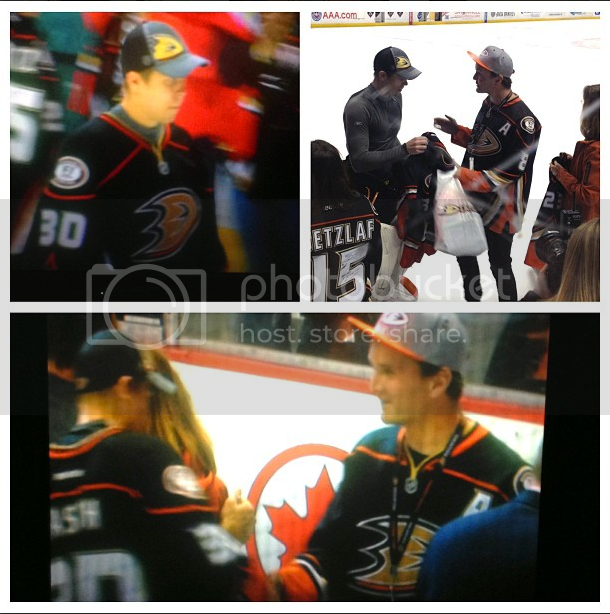 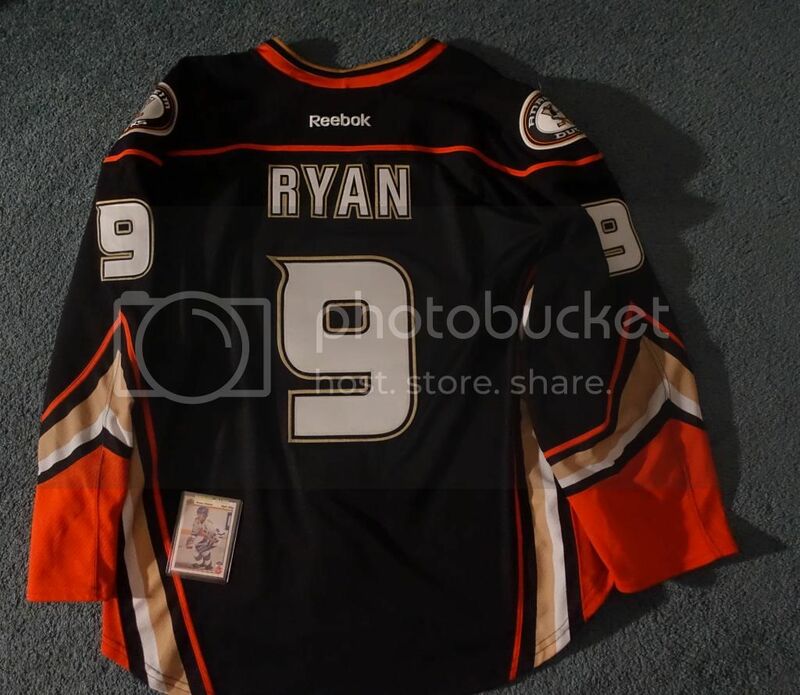 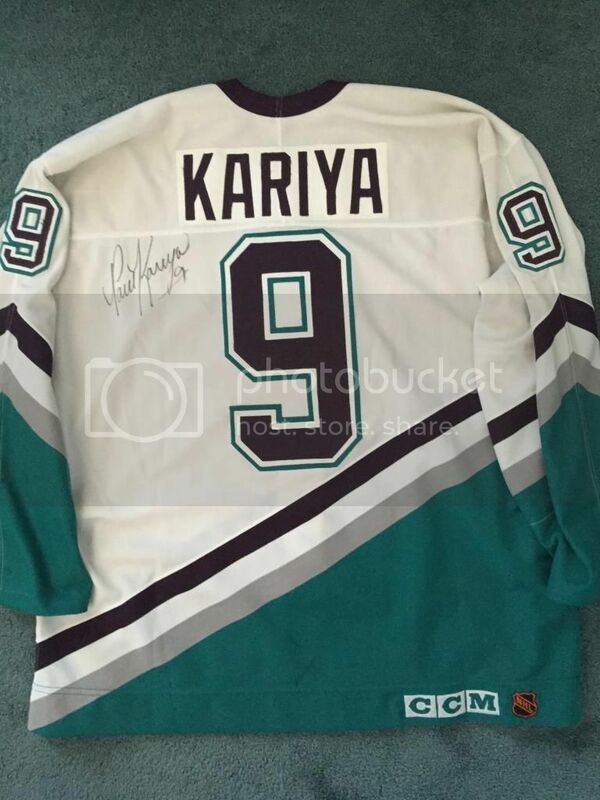 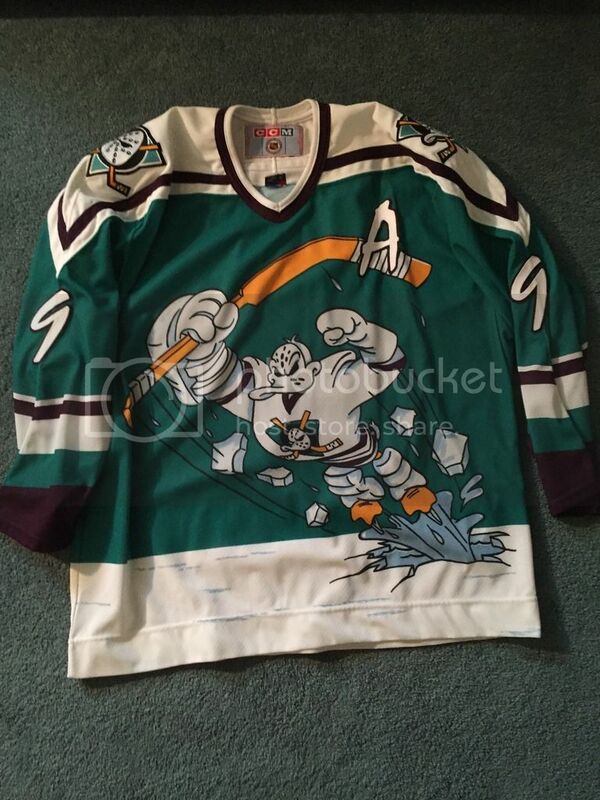 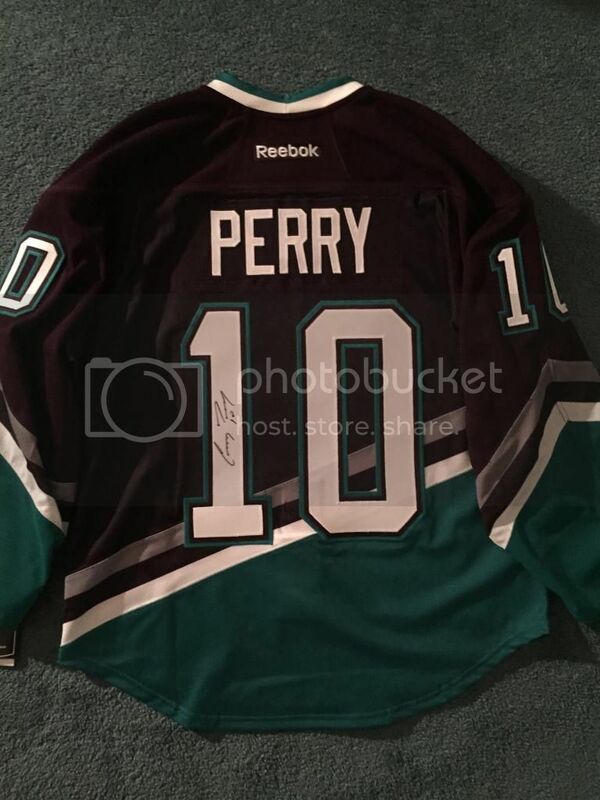 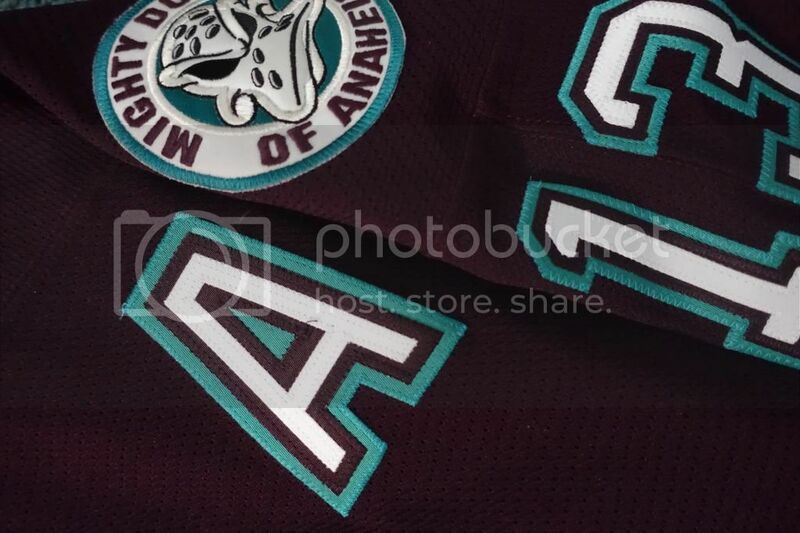 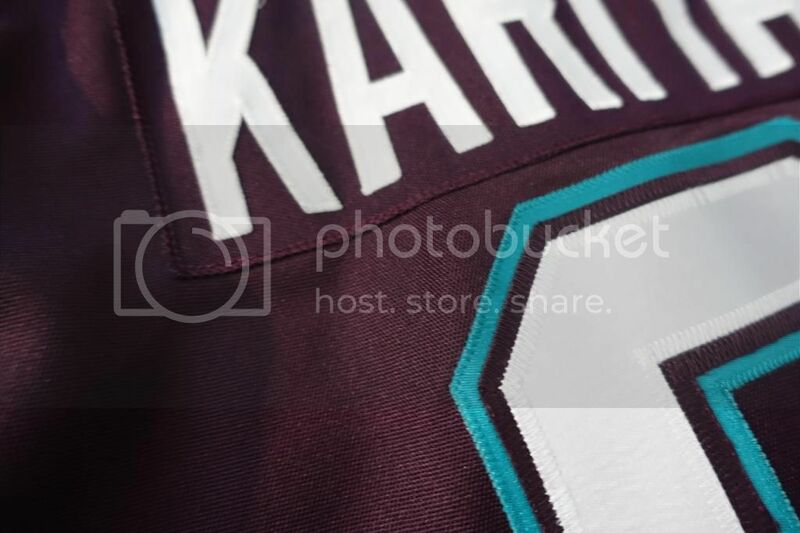 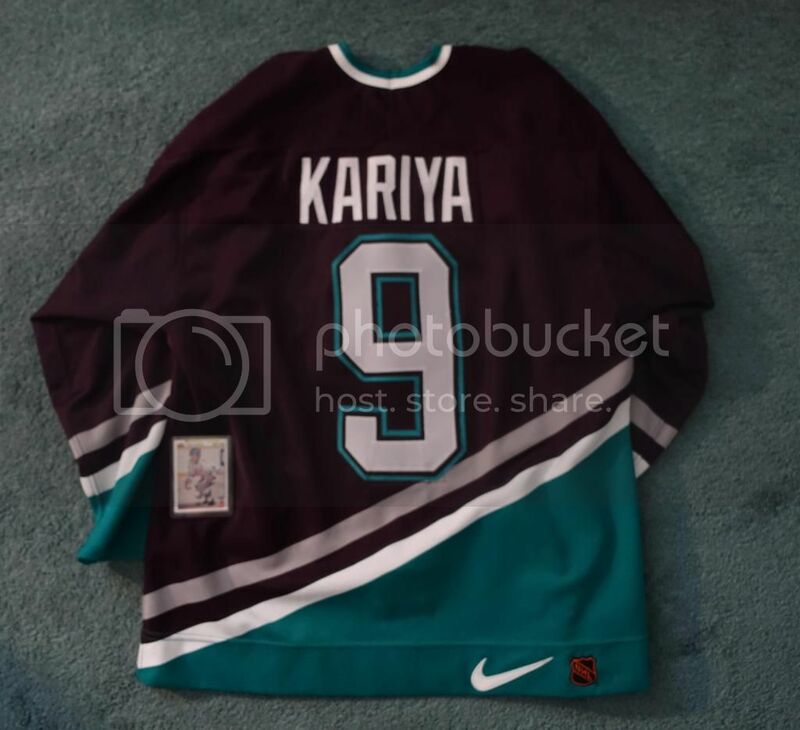 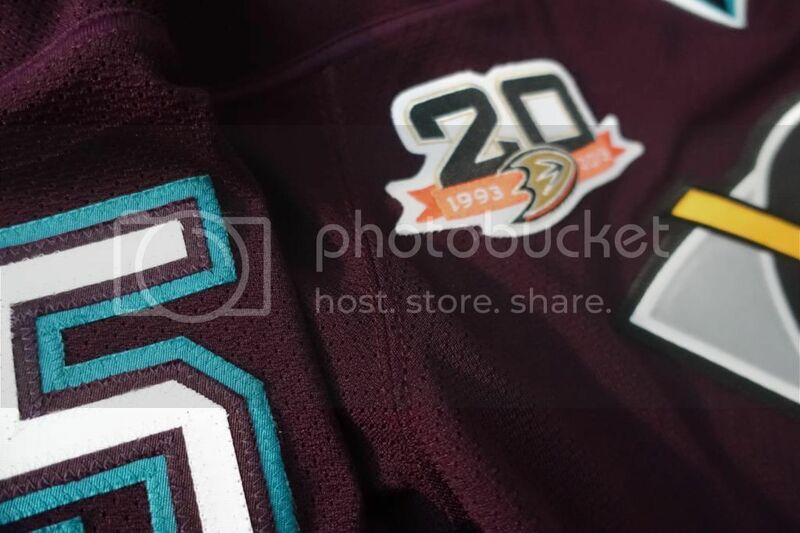 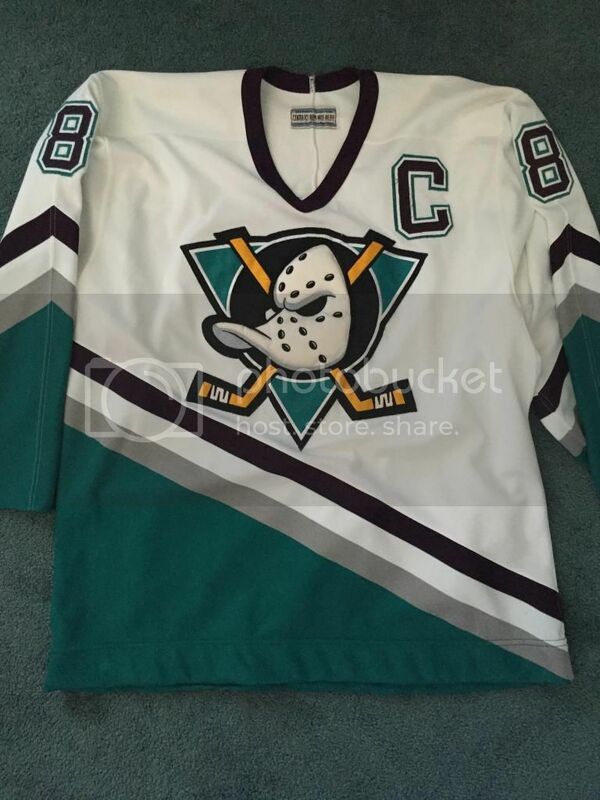 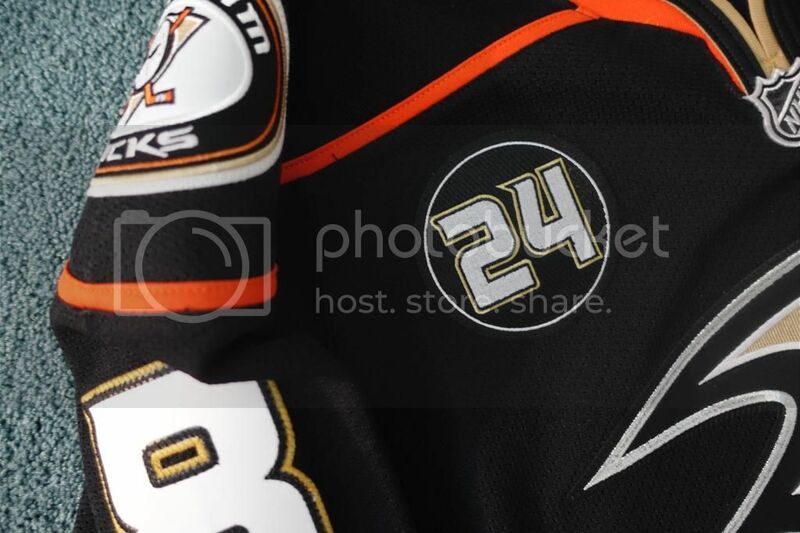 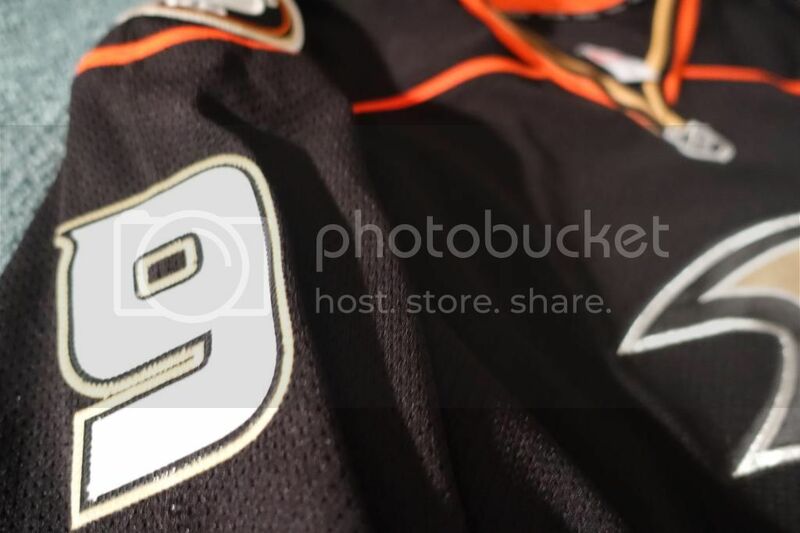 A little background on myself, been a Ducks fan since I can remember, a kid 100% apart of the Mighty Ducks wave, started playing roller then ice hockey in Southern California to this day because of the movies, and of course looked up to the Ducks superstars Paul Kariya and Teemu Selanne. 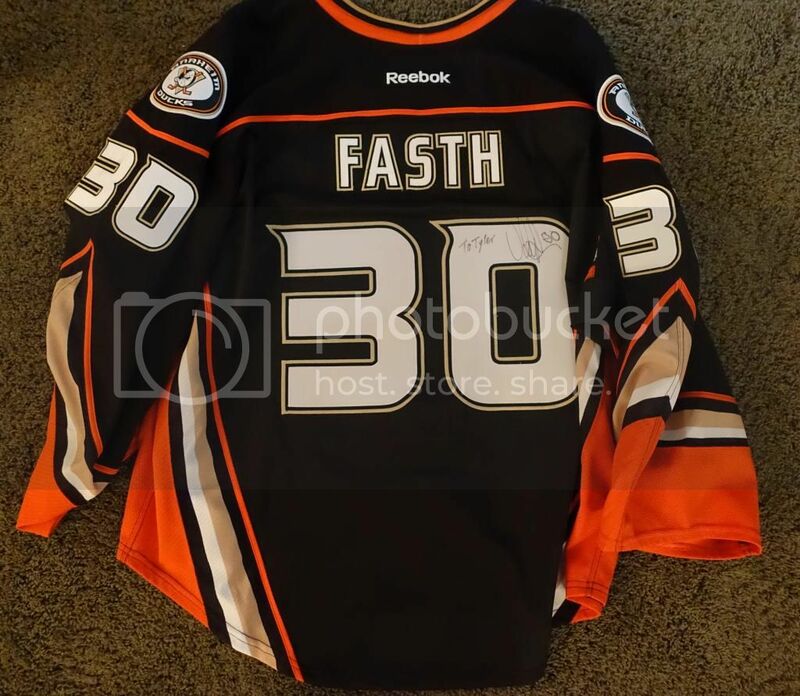 Had a few jerseys I had gotten for Christmas as a kid but always wanted to have a collection of all the jerseys they both wore! 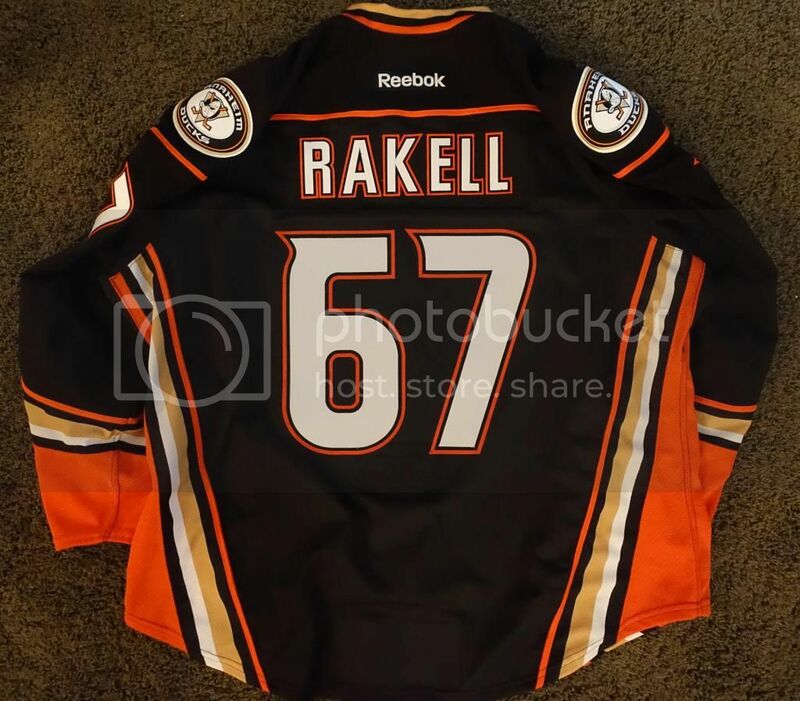 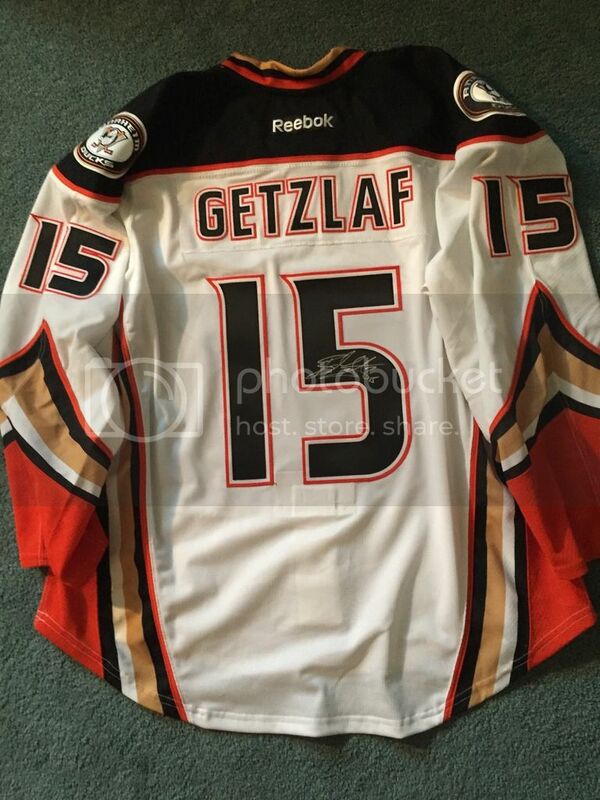 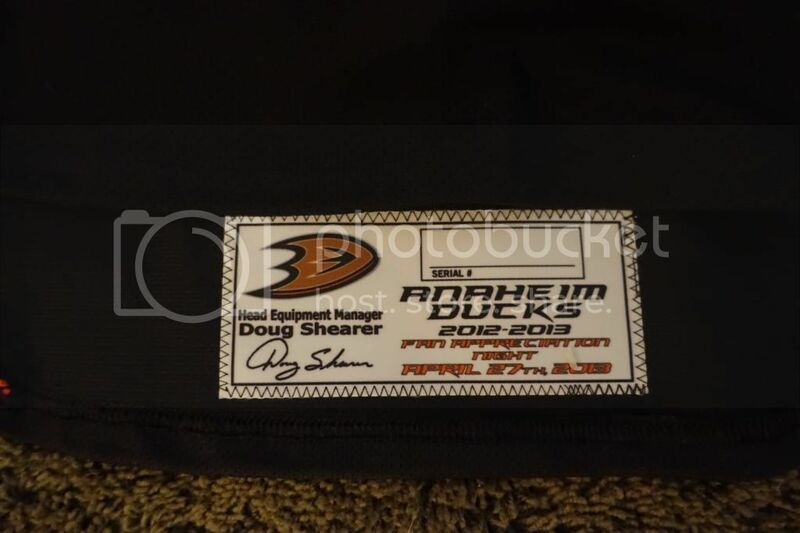 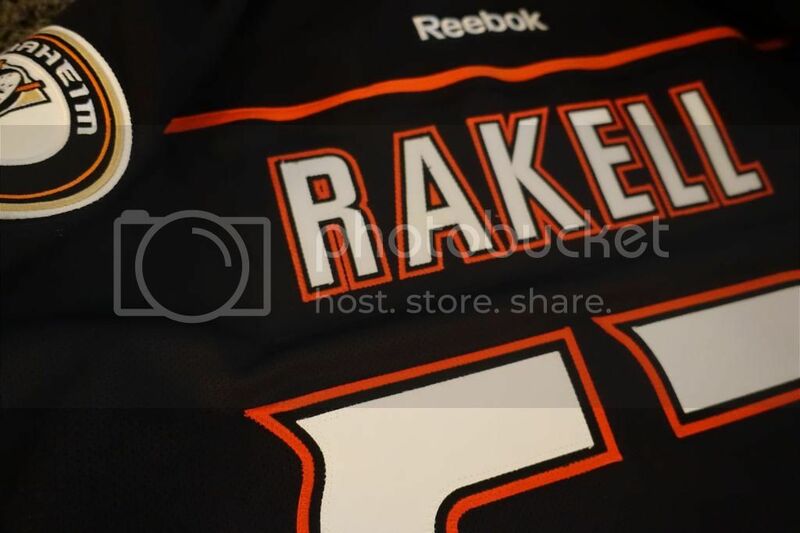 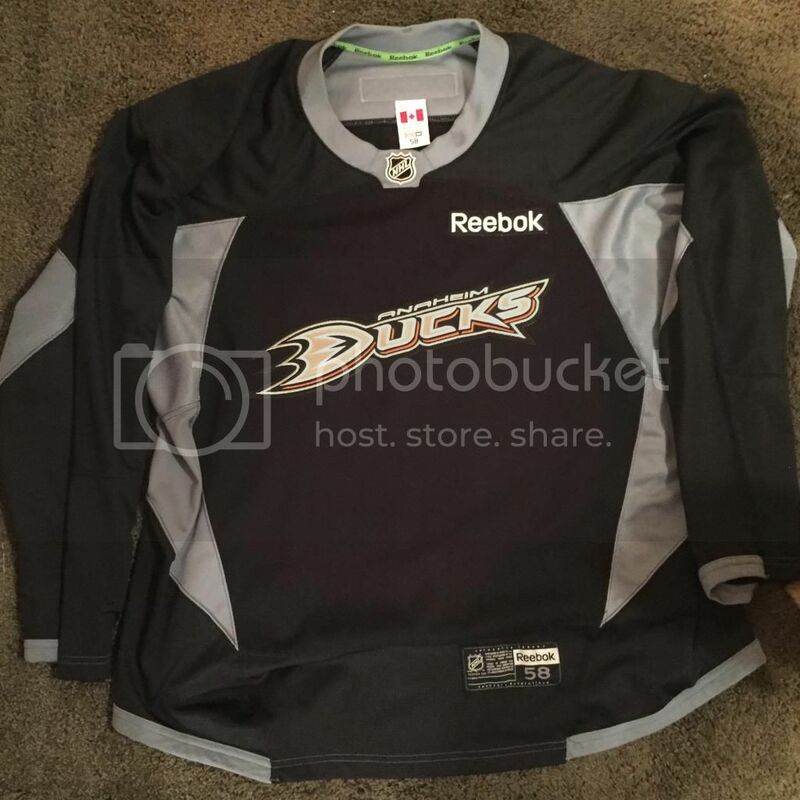 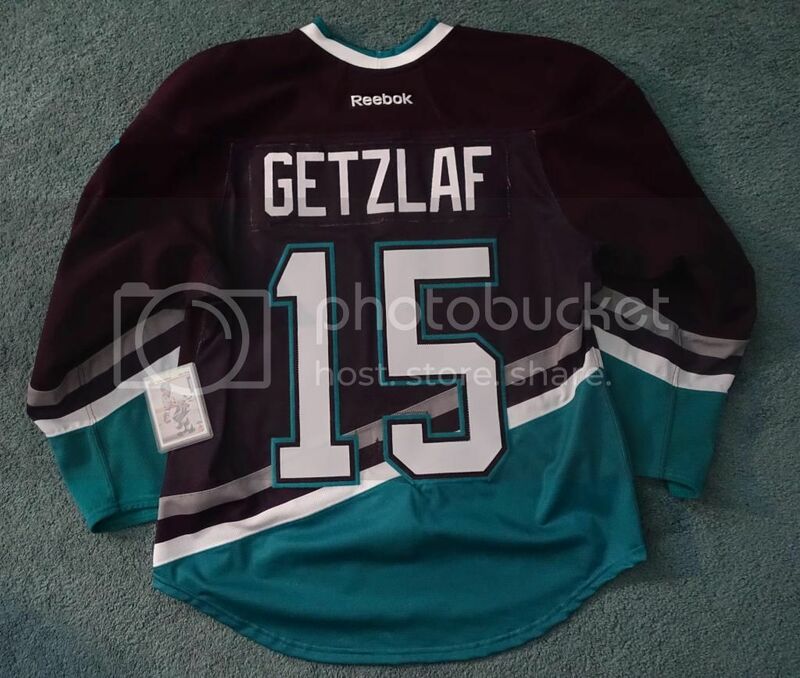 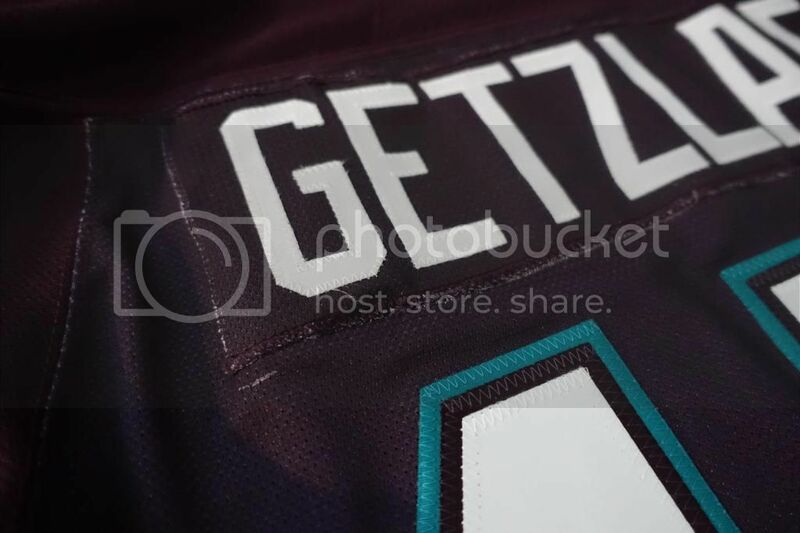 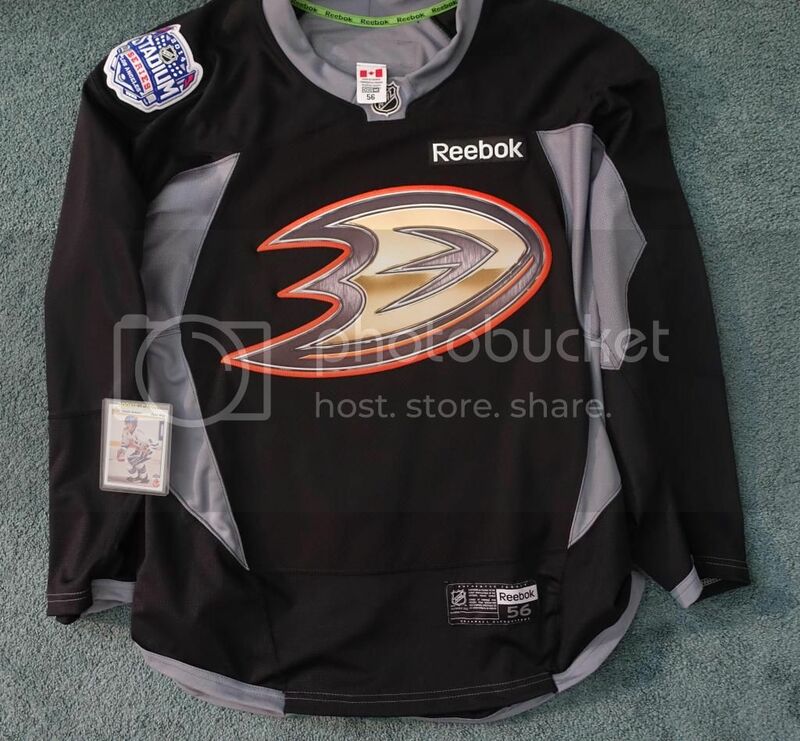 Been doing my best to get good finds on eBay, met a few good people at the Honda Center, team sales etc is how I've gotten most of what I have. 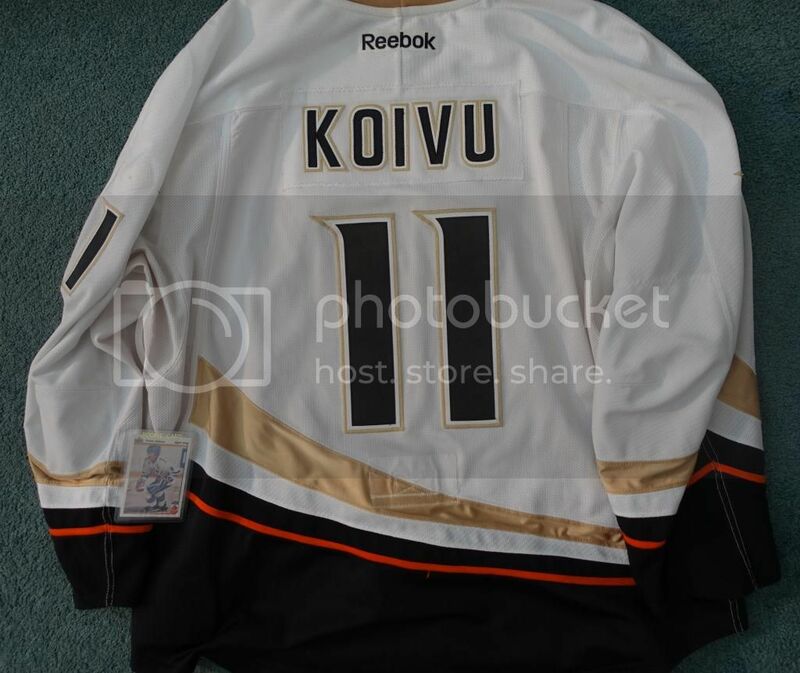 This is a very addicting hobby I must say, and a pricey one at that. 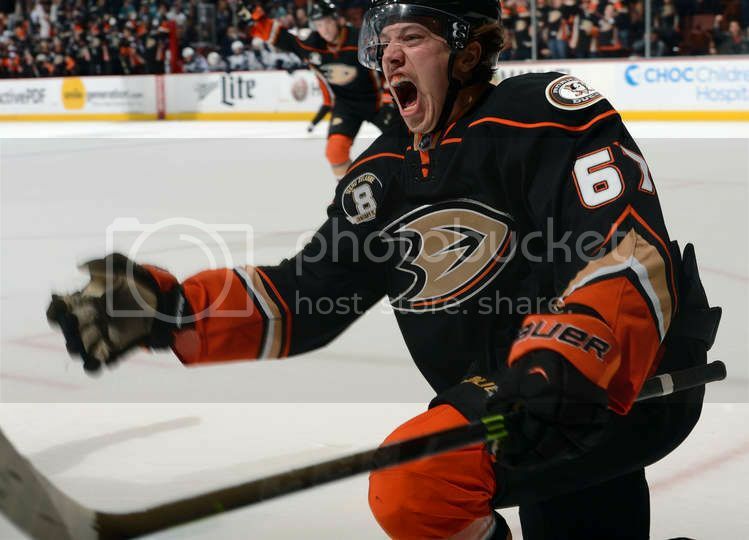 Having tons of fun though! 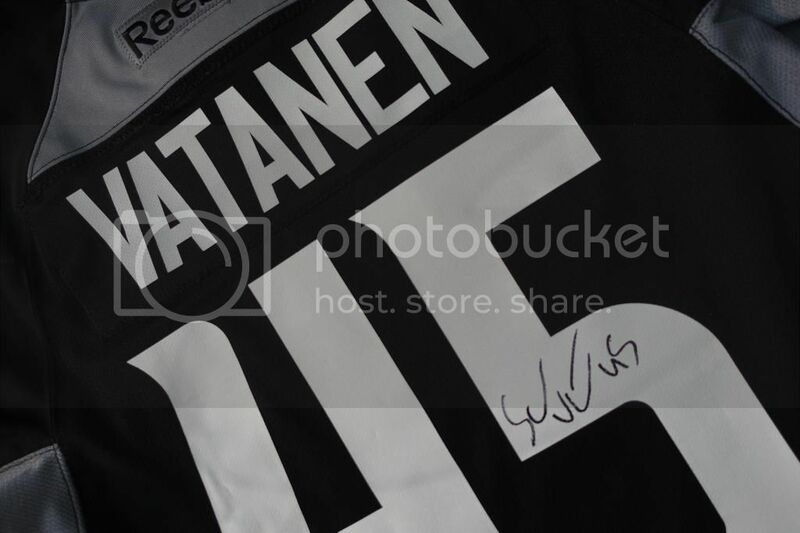 Start it off with a few of my absolute favorites, will add throughout the week! 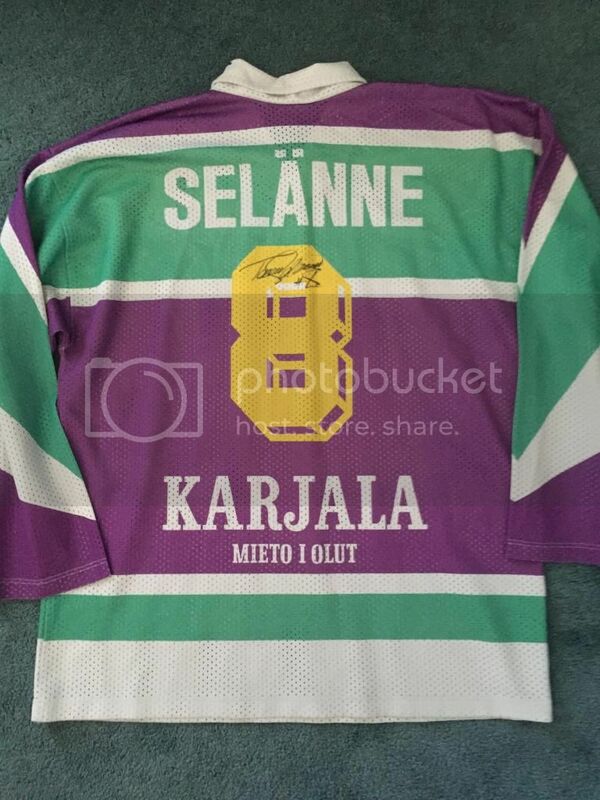 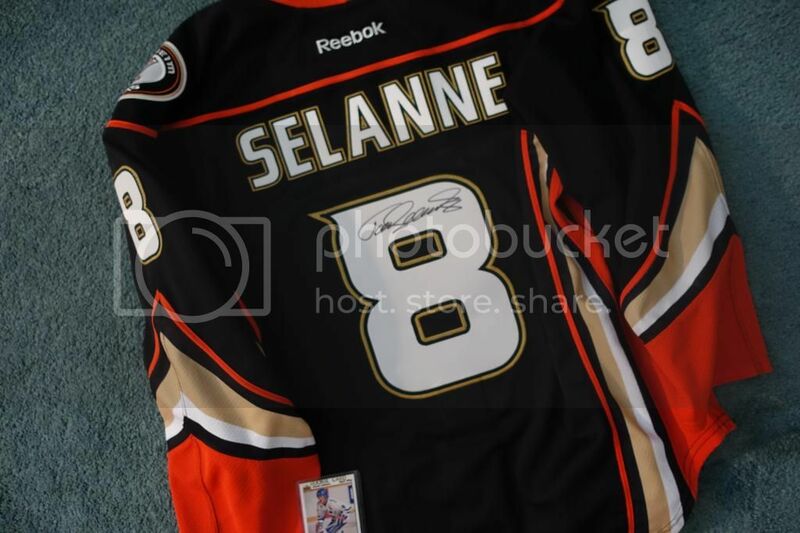 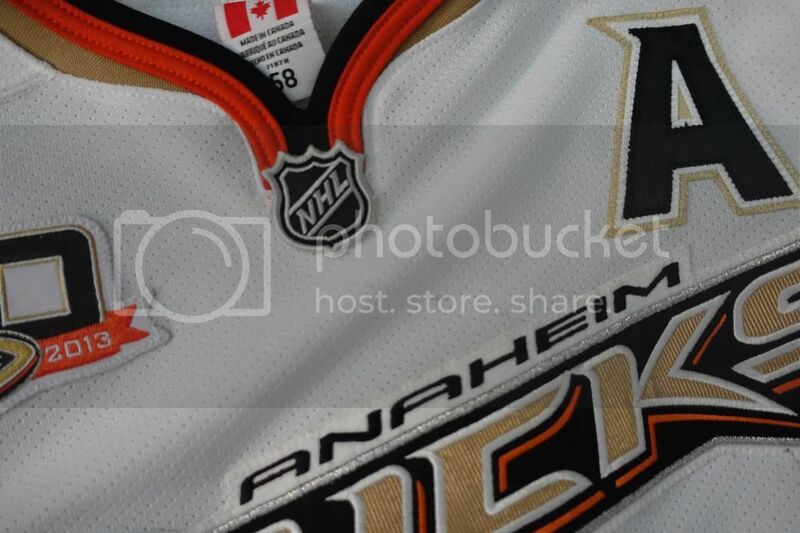 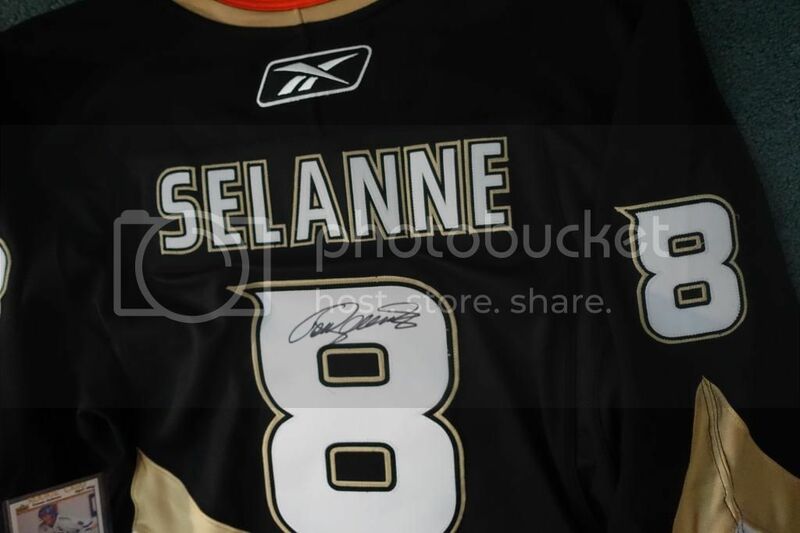 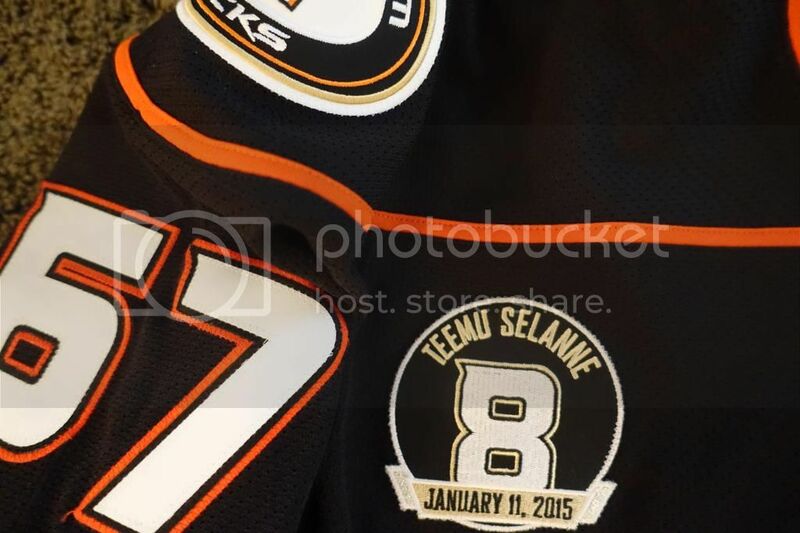 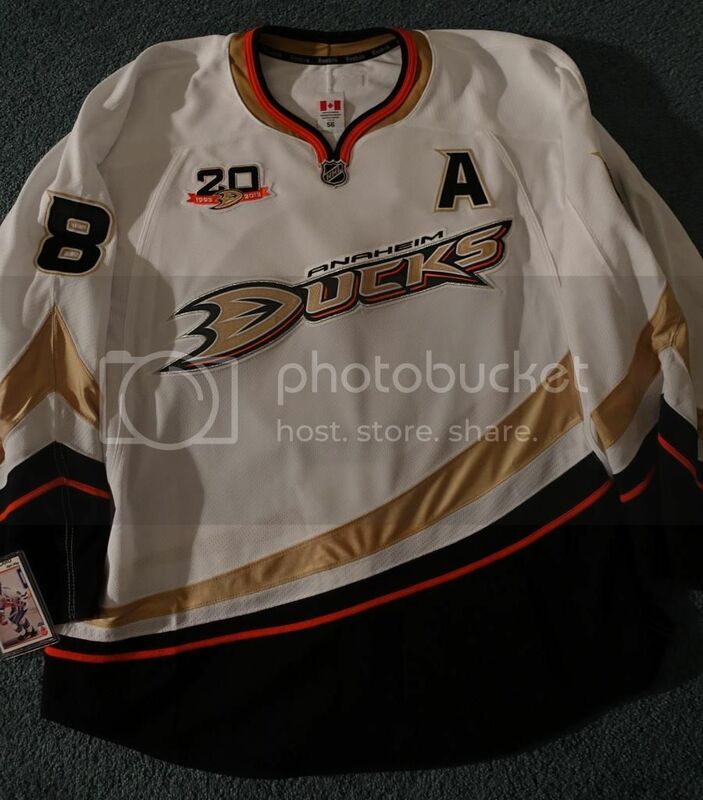 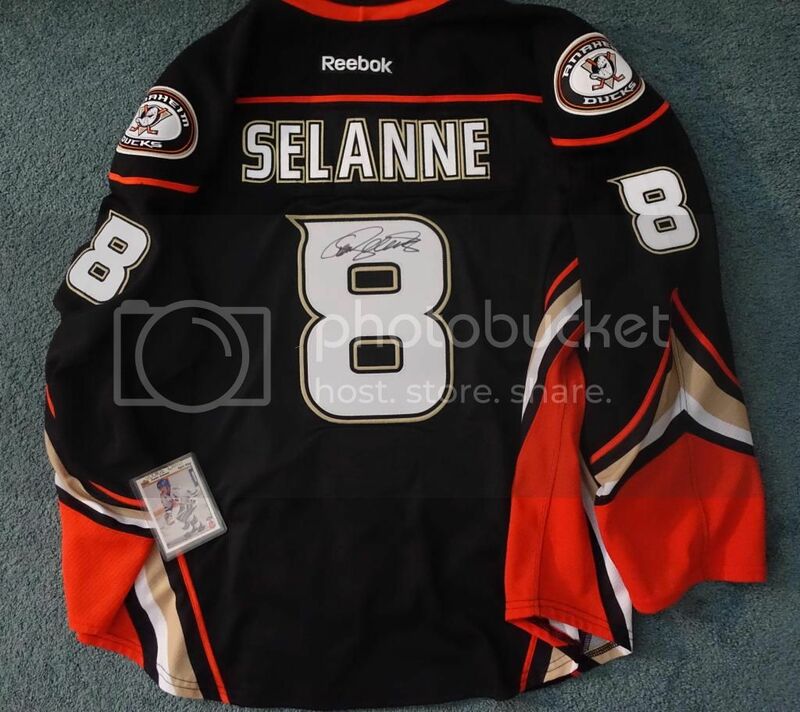 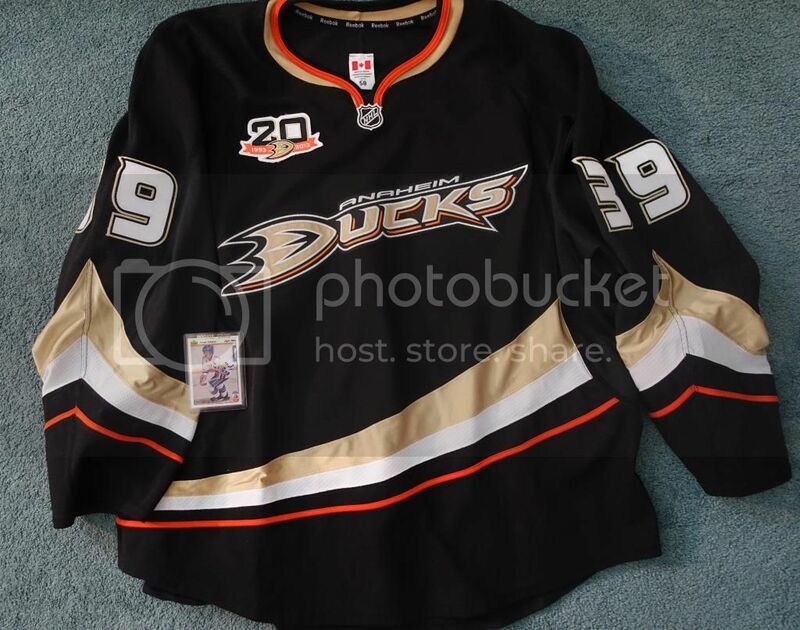 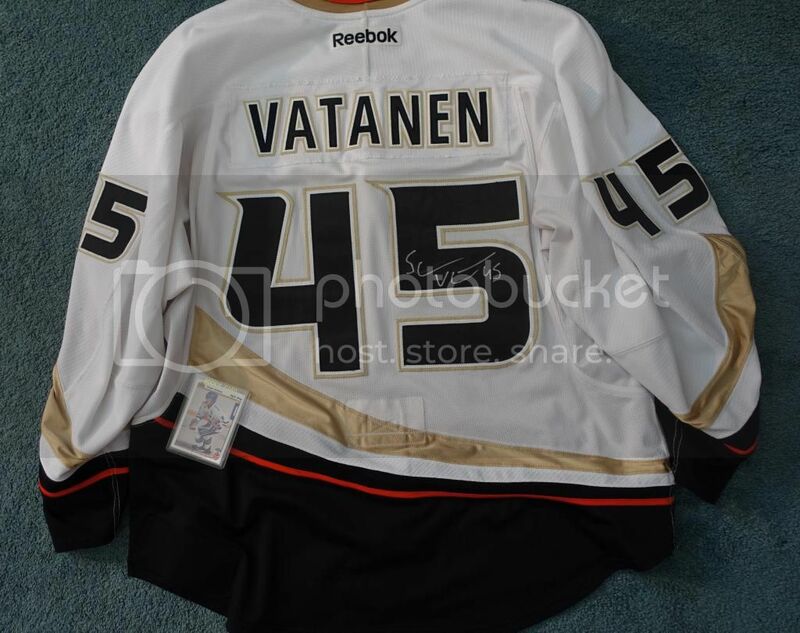 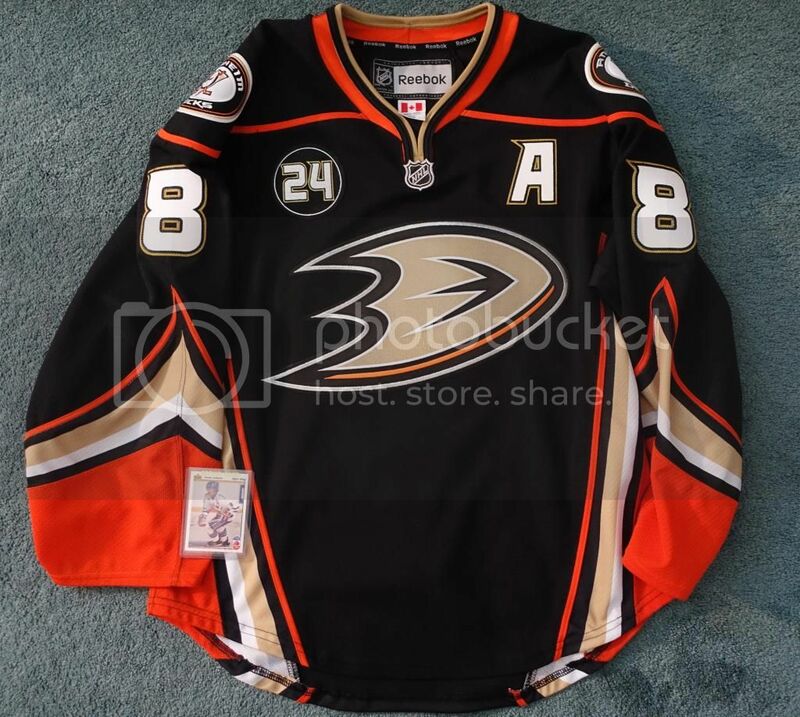 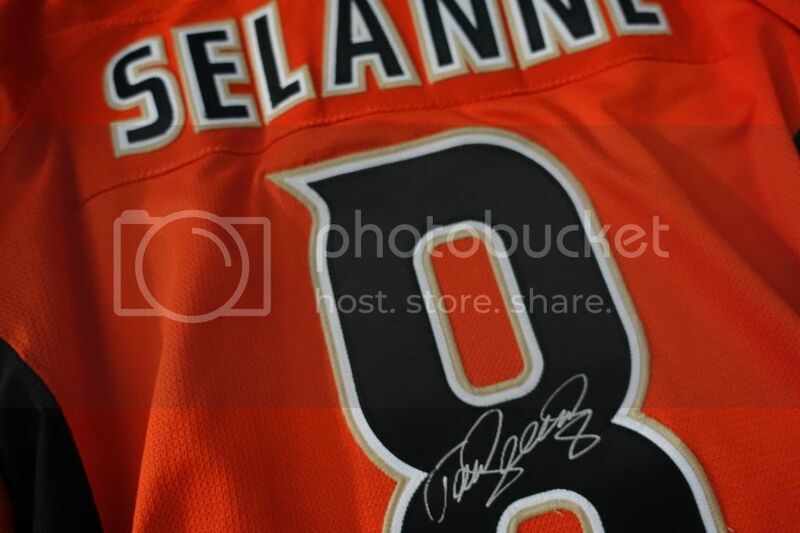 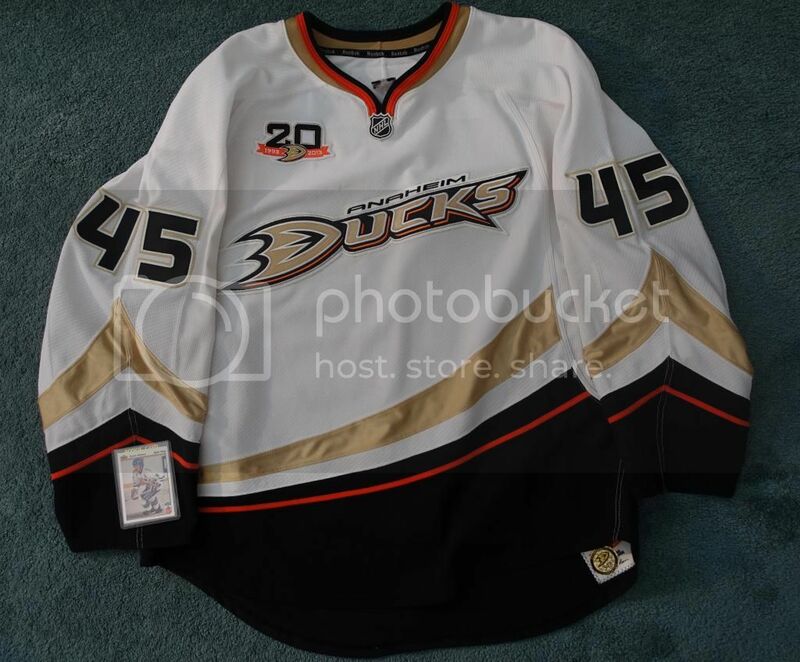 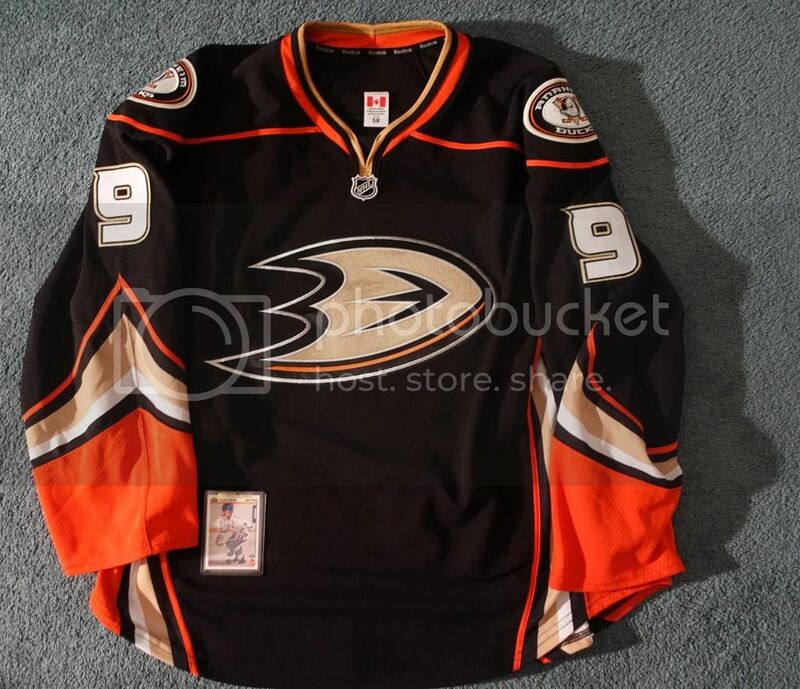 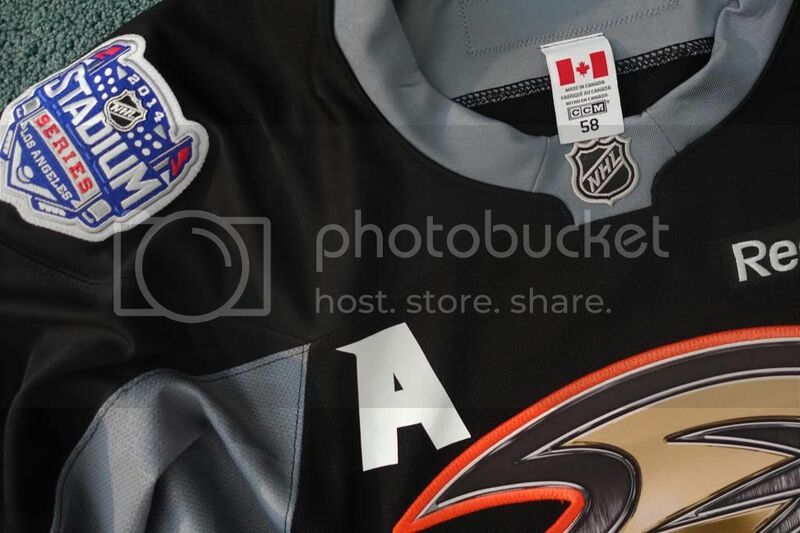 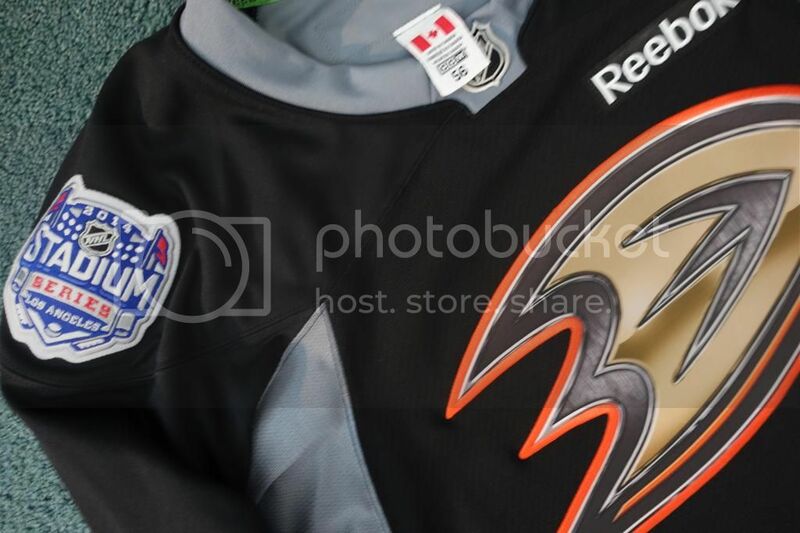 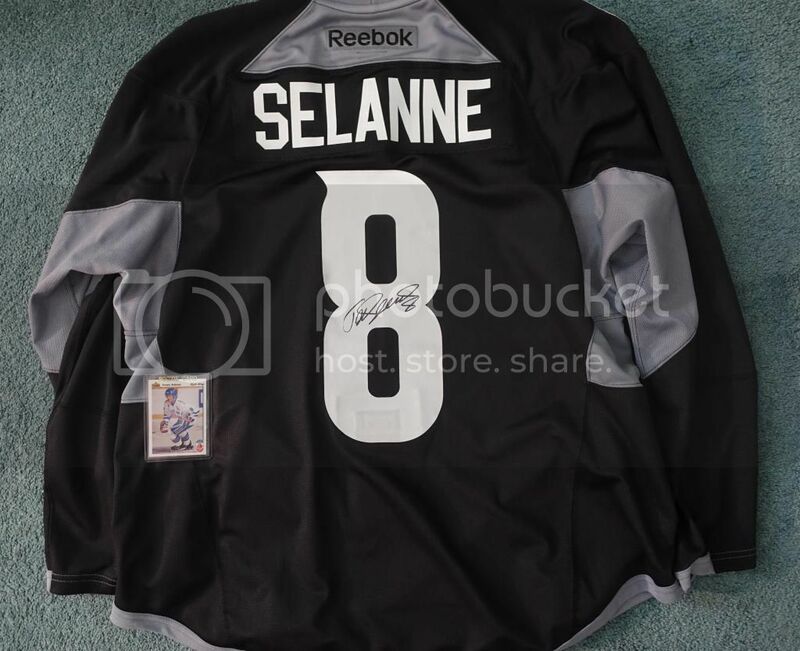 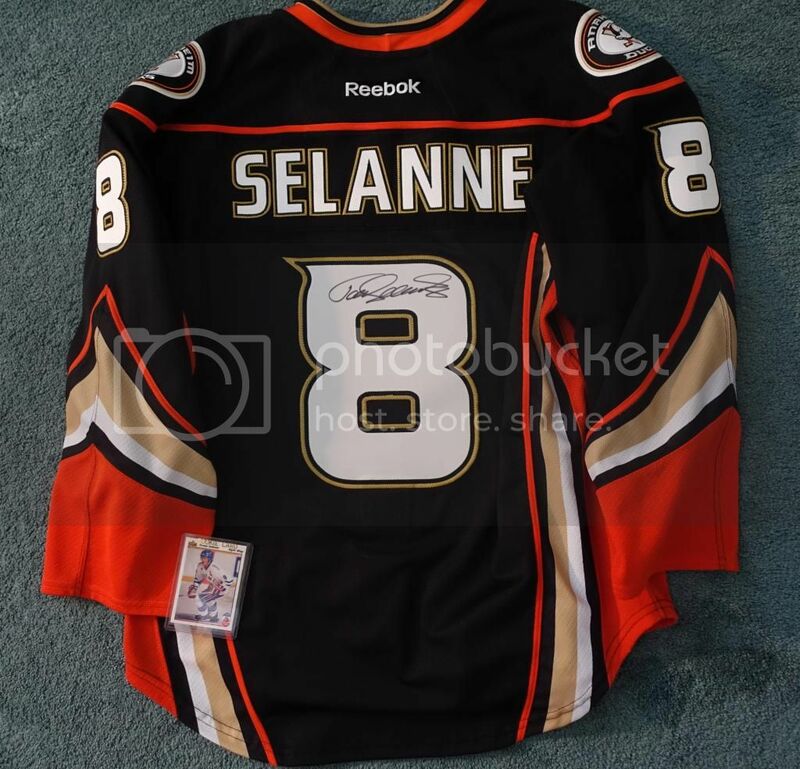 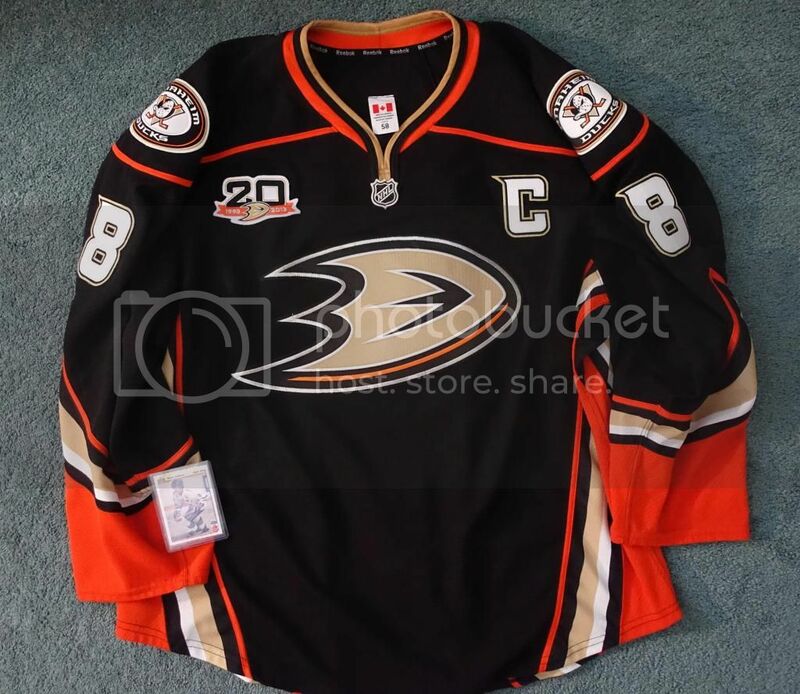 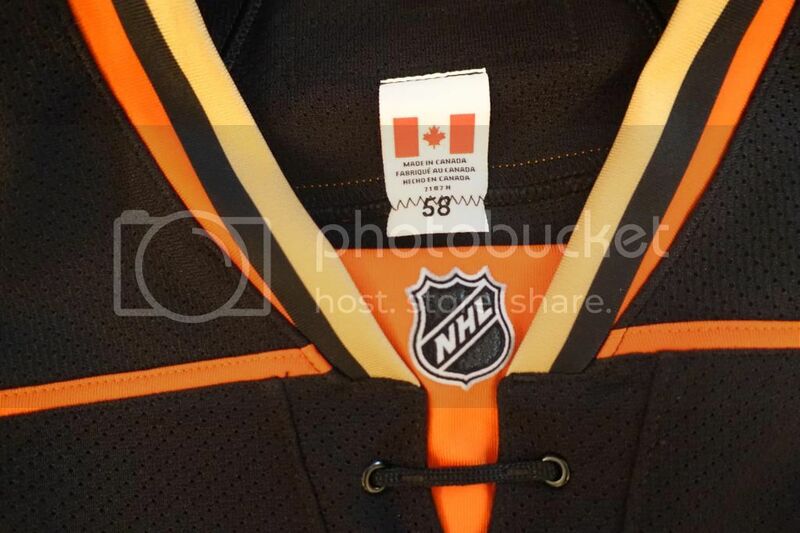 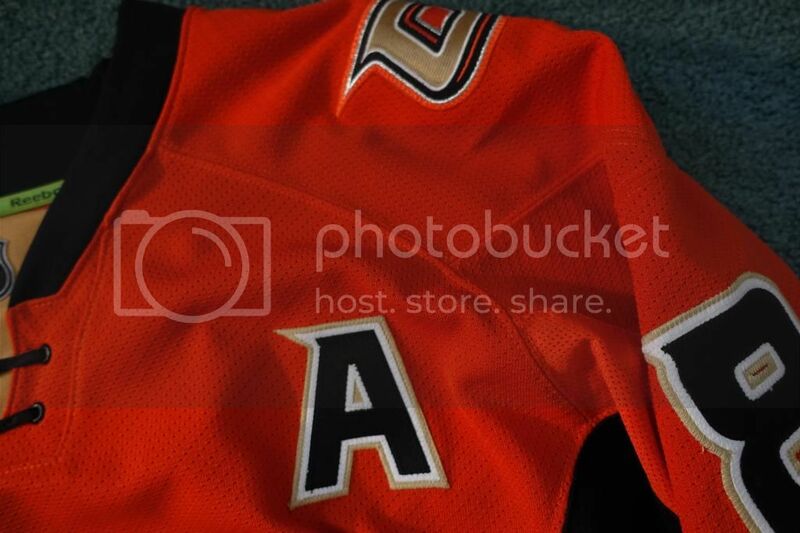 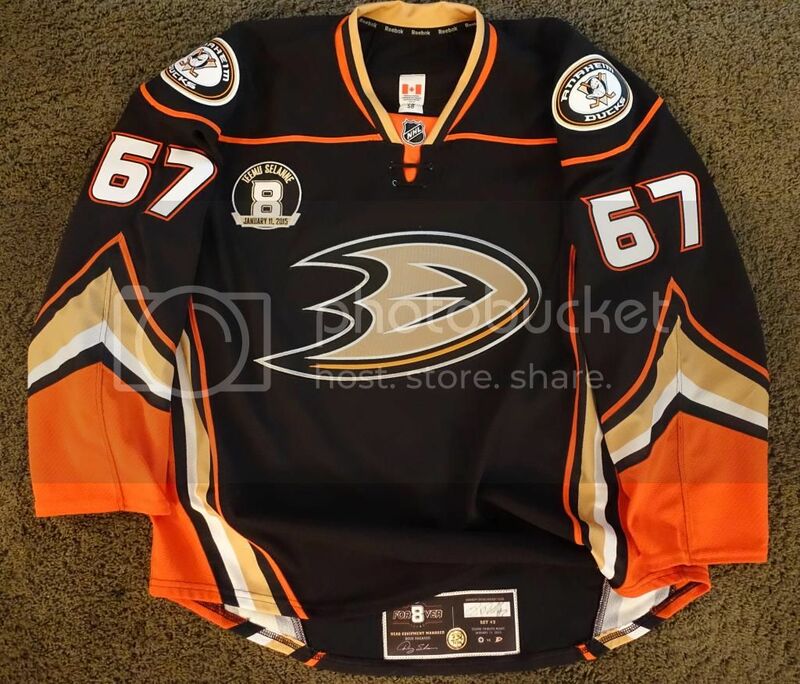 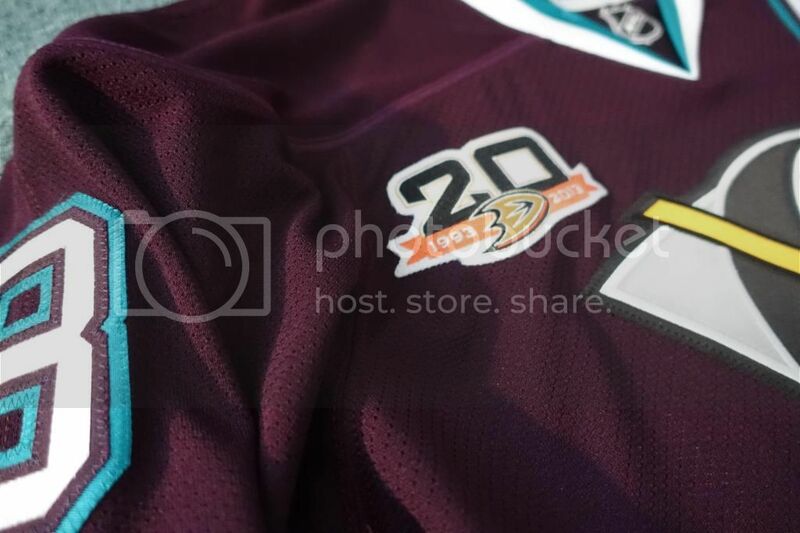 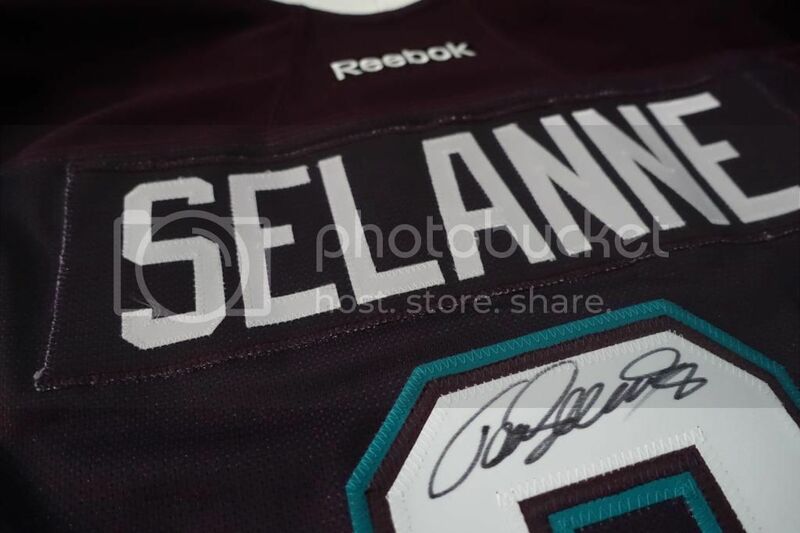 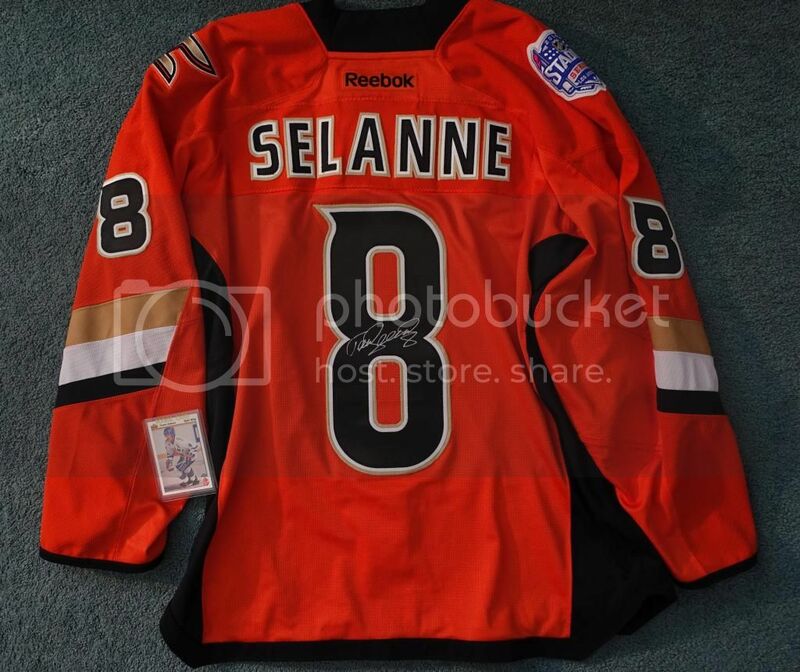 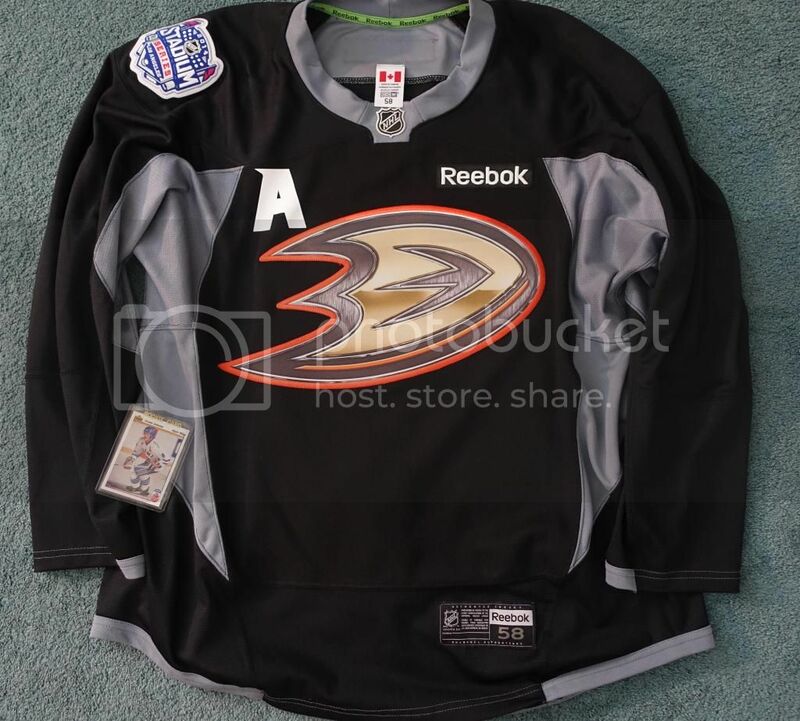 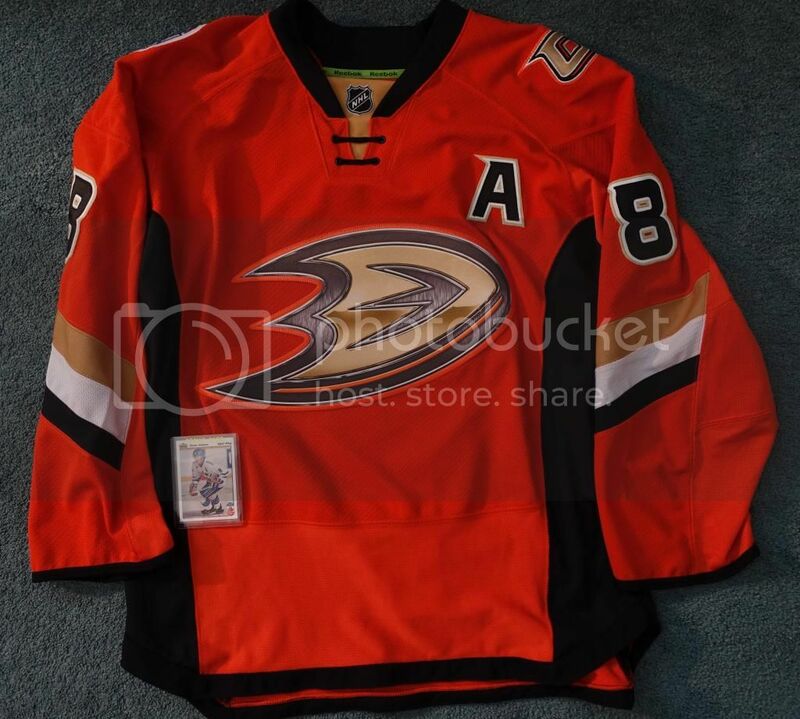 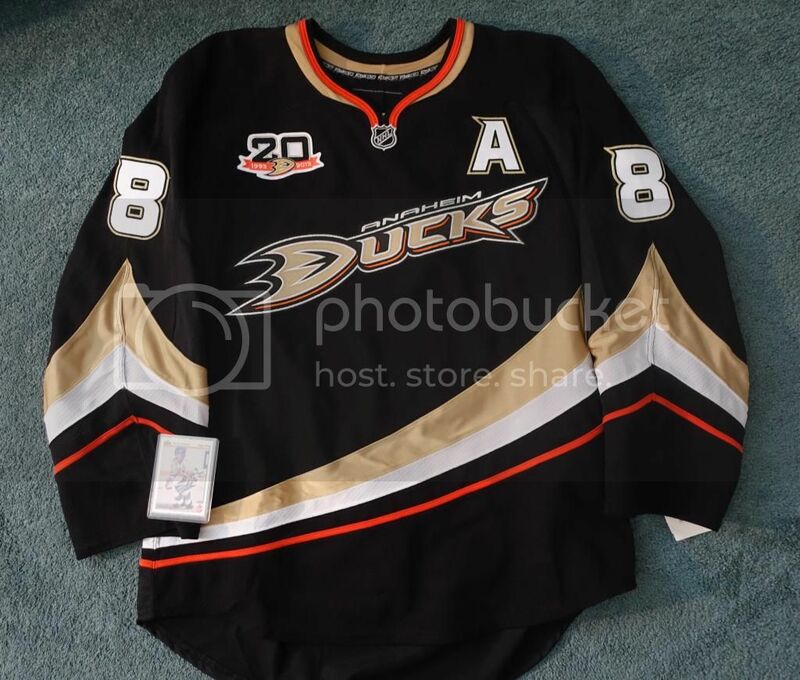 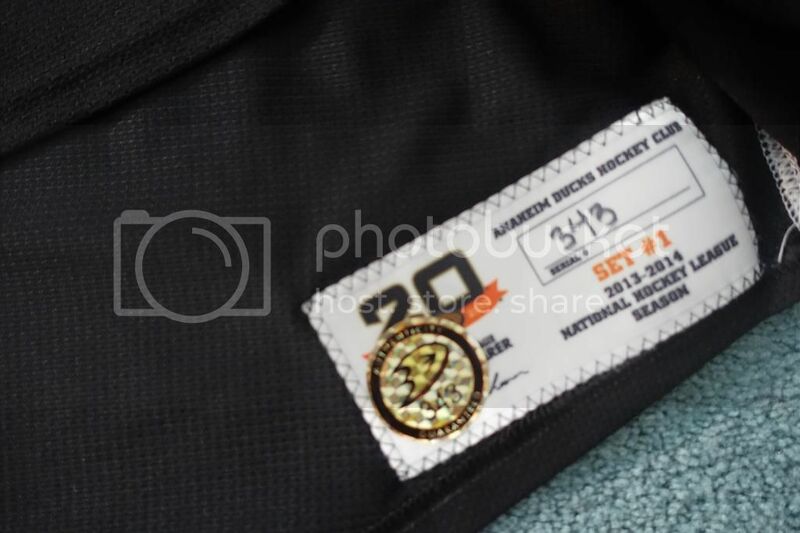 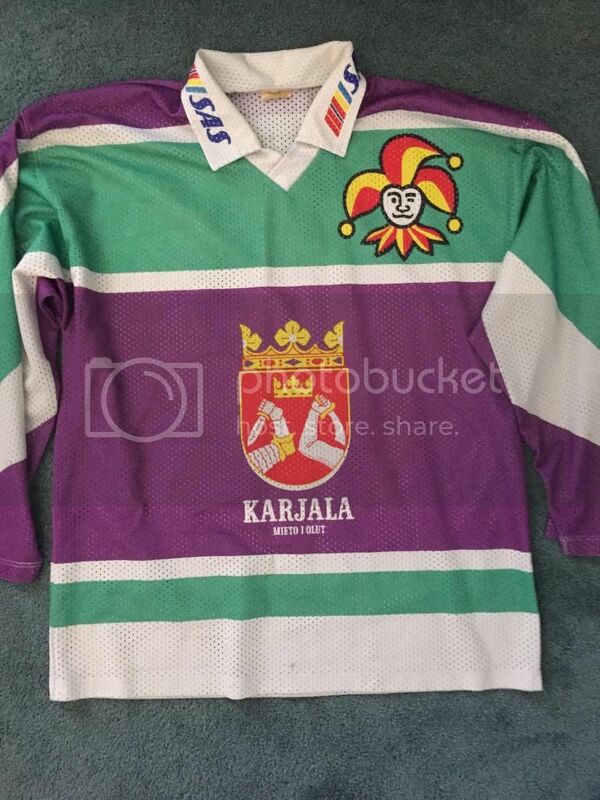 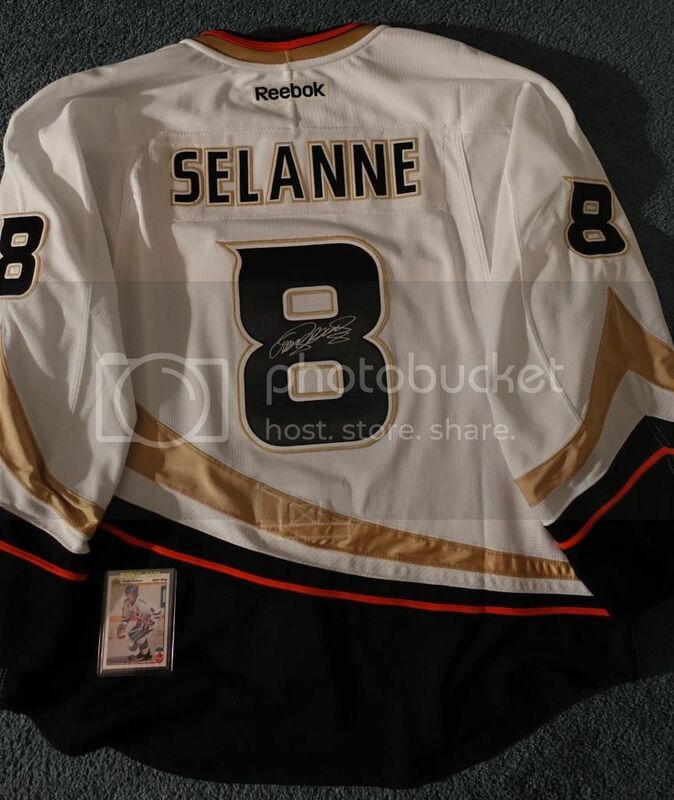 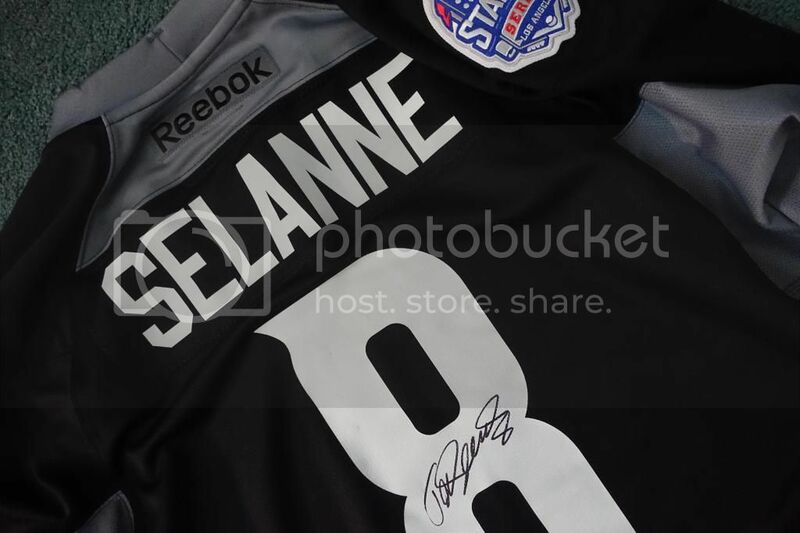 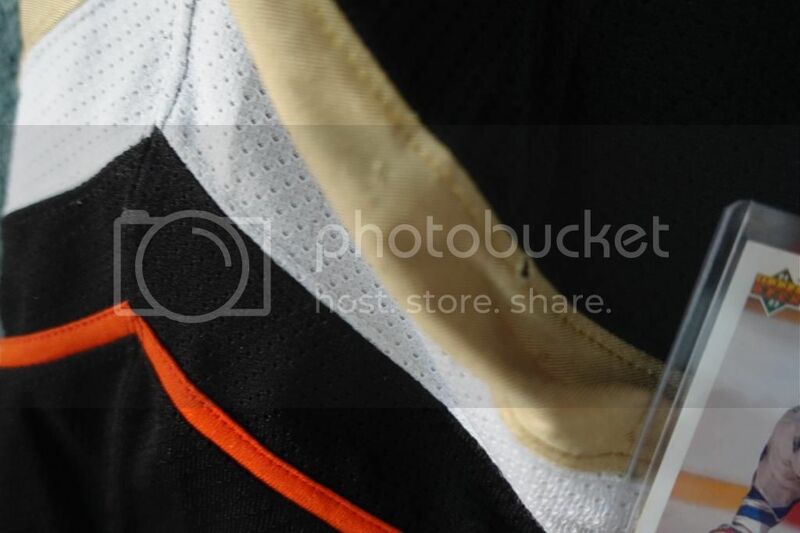 52 94/95 jokerit selanne jersey. 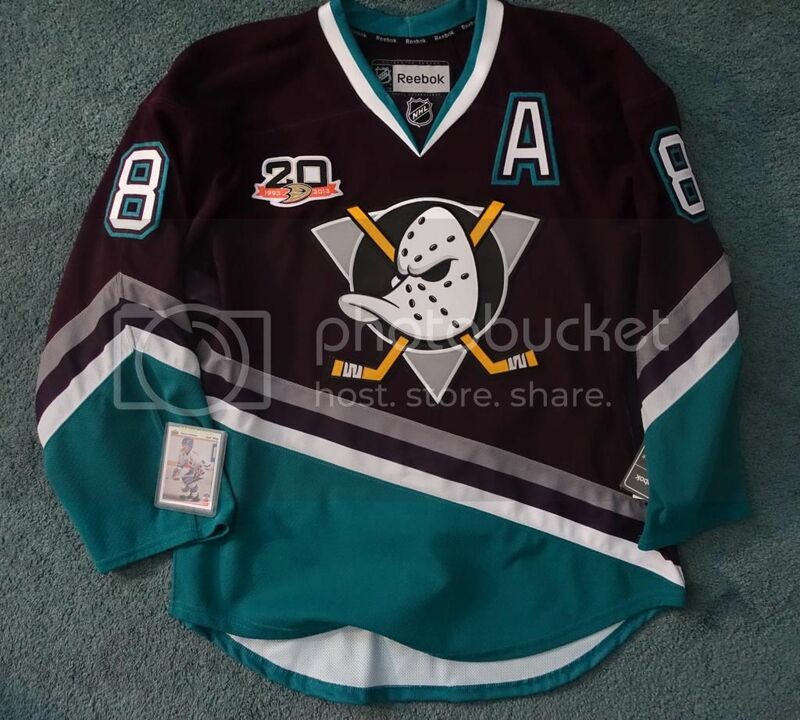 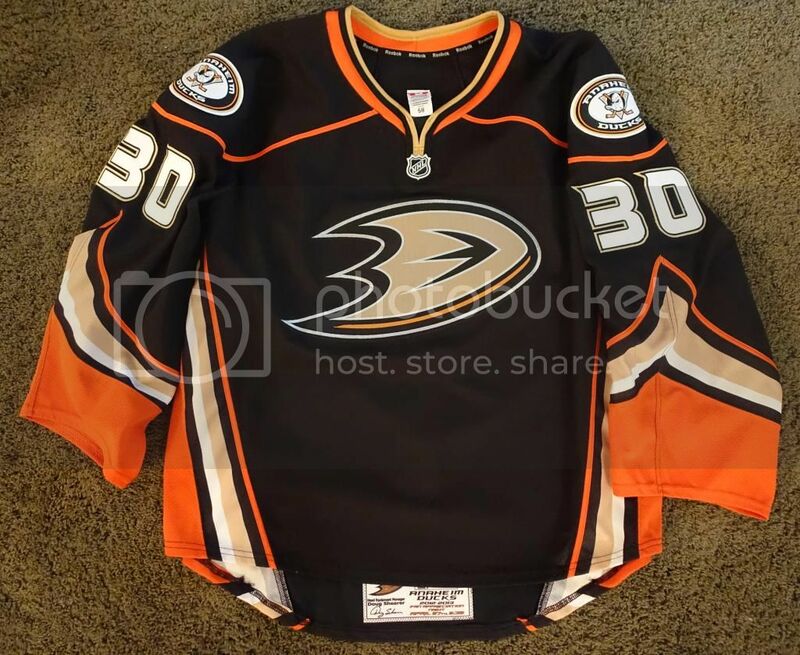 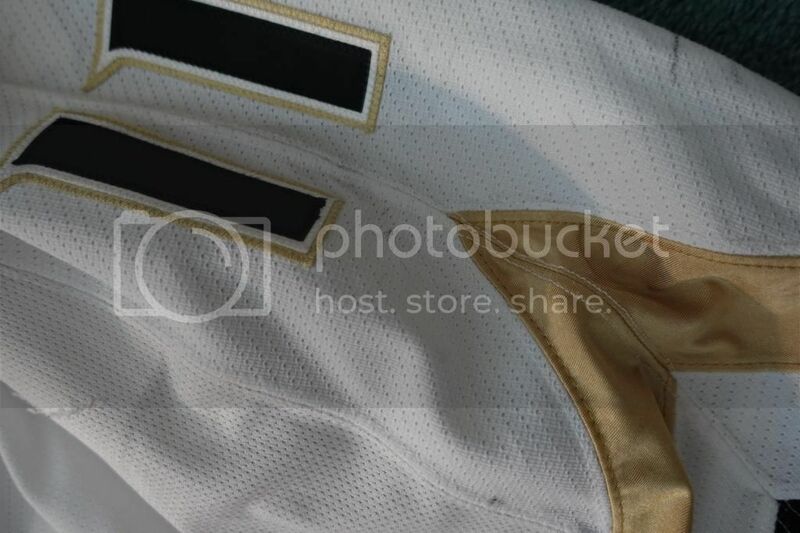 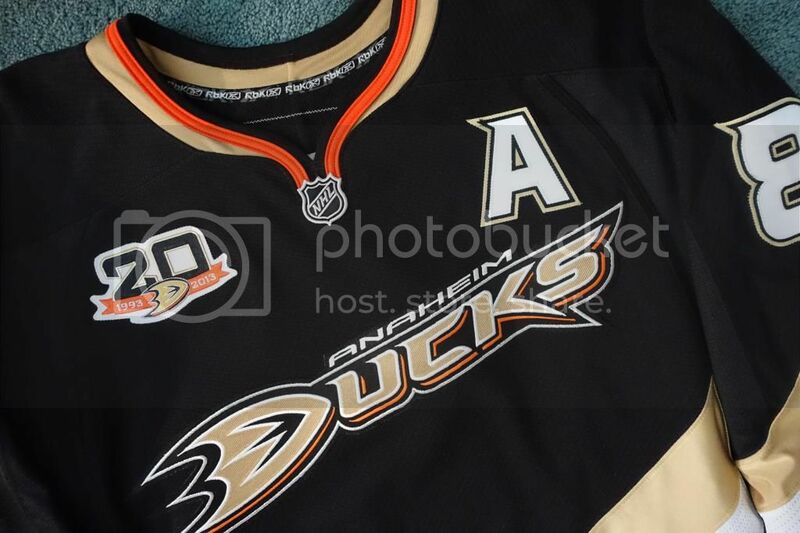 not entirely sure if the jersey is deemed "authentic" as there is no fight strap but regardless its a beautiful heavy weight mesh sweater. 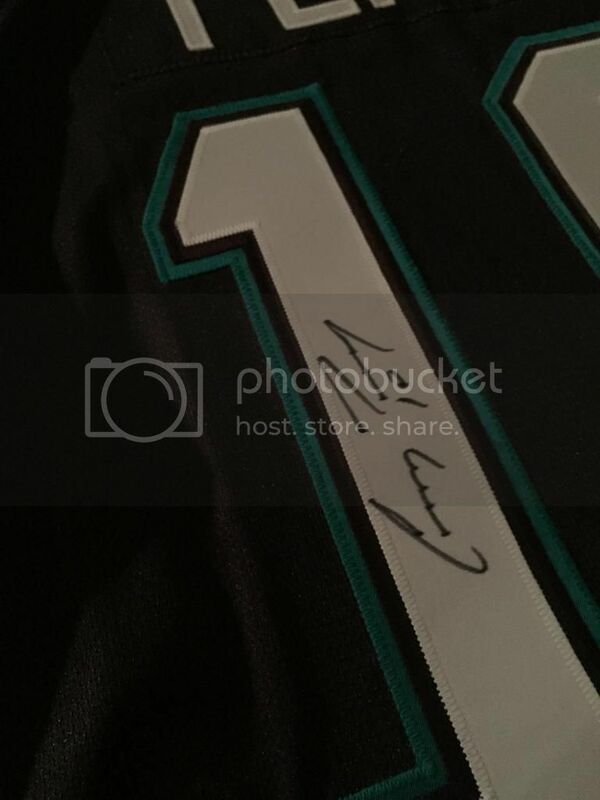 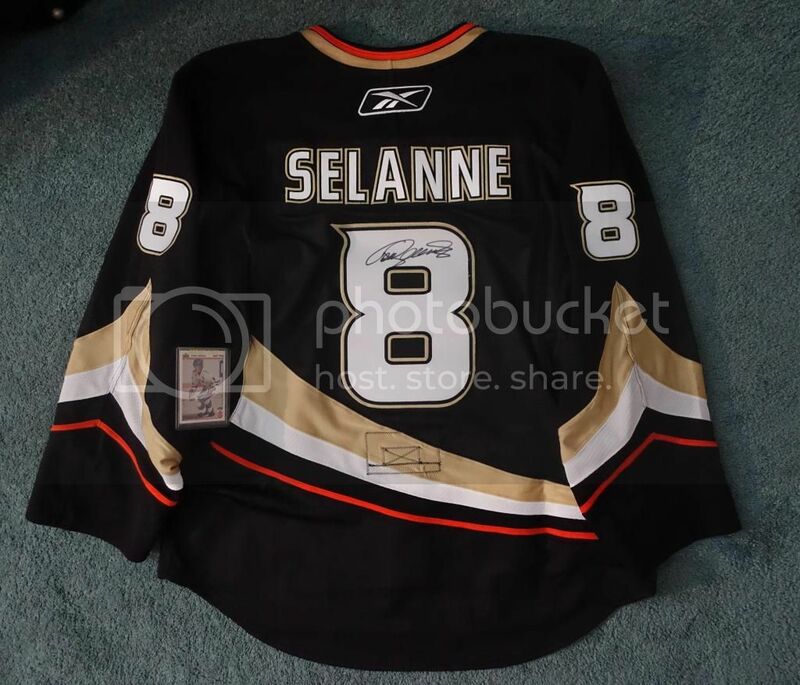 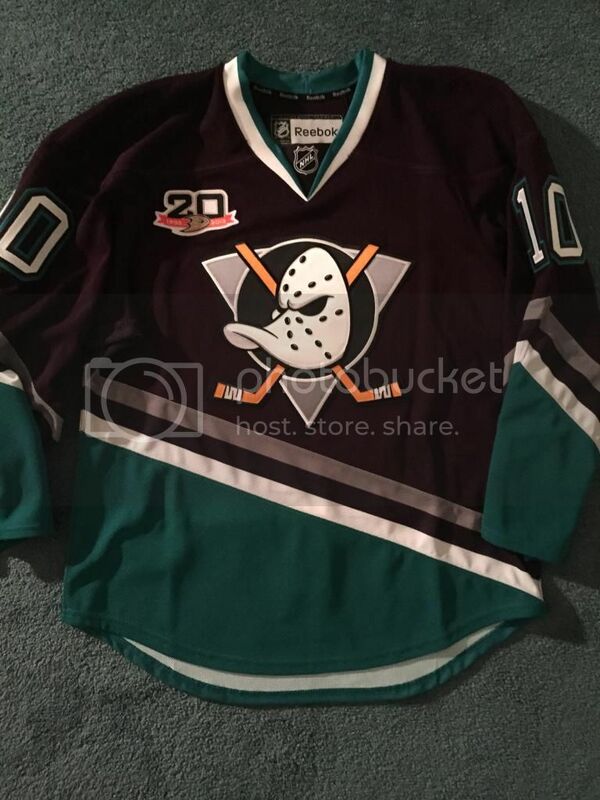 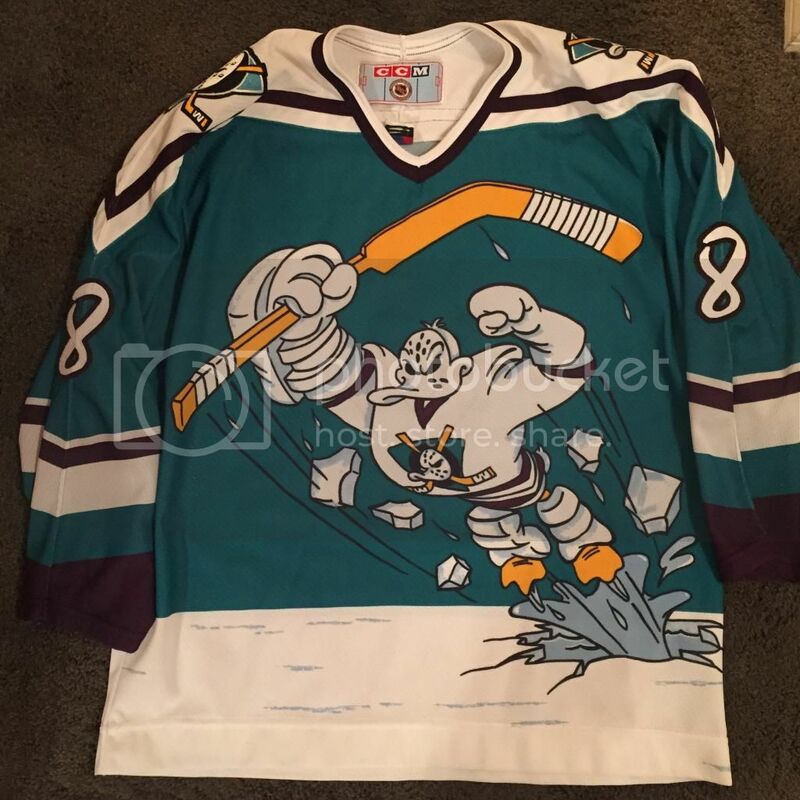 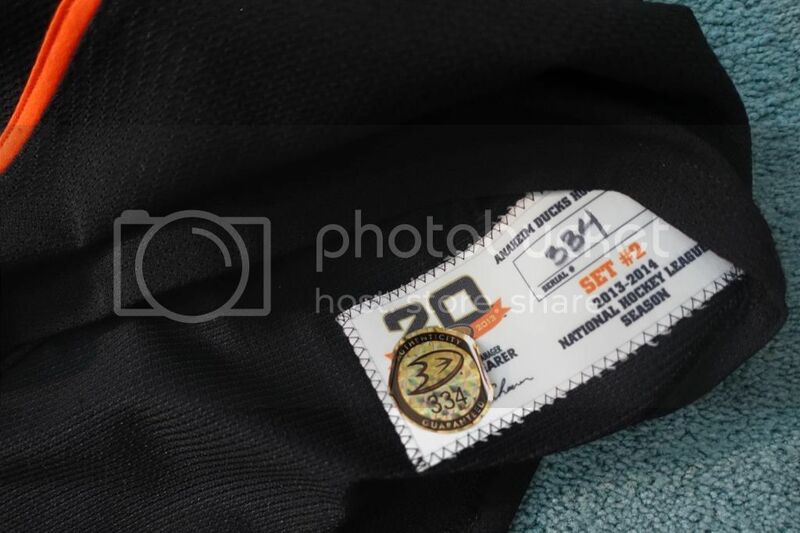 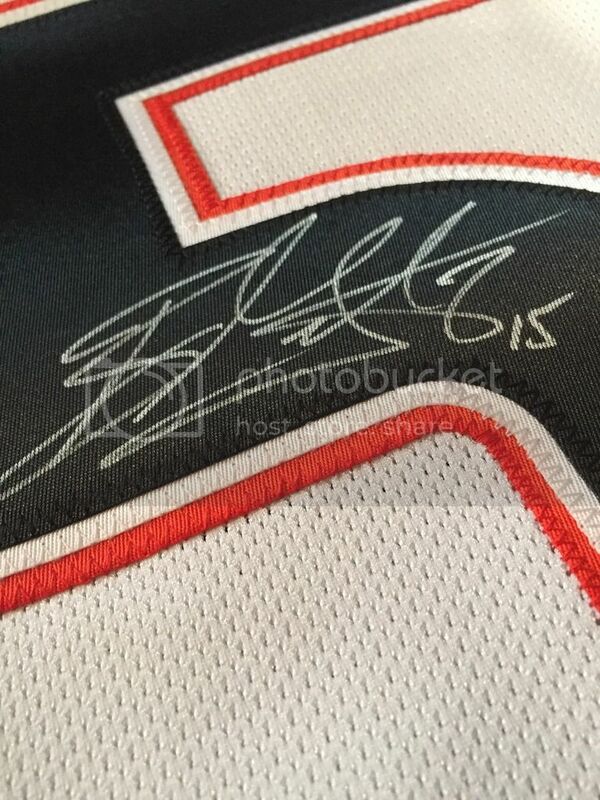 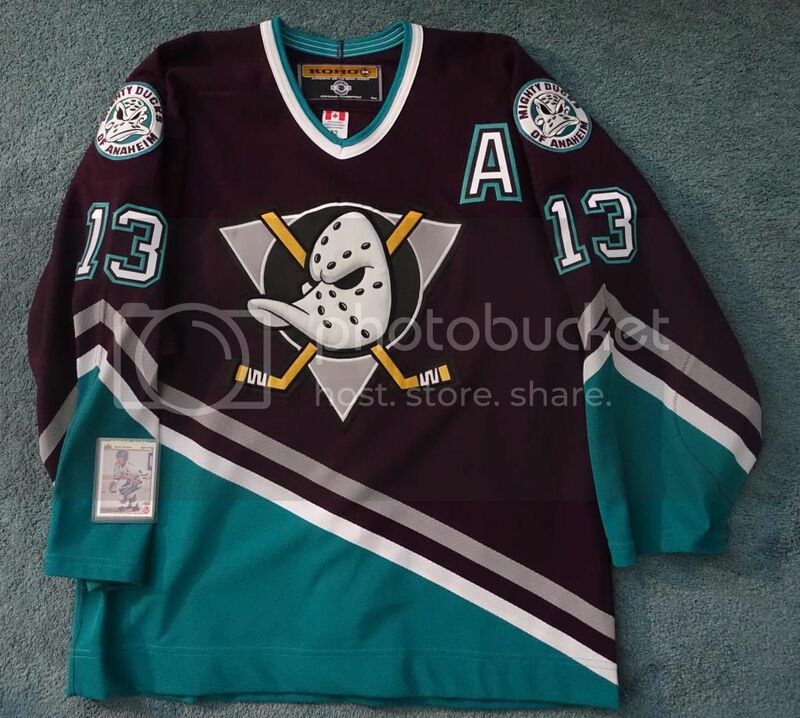 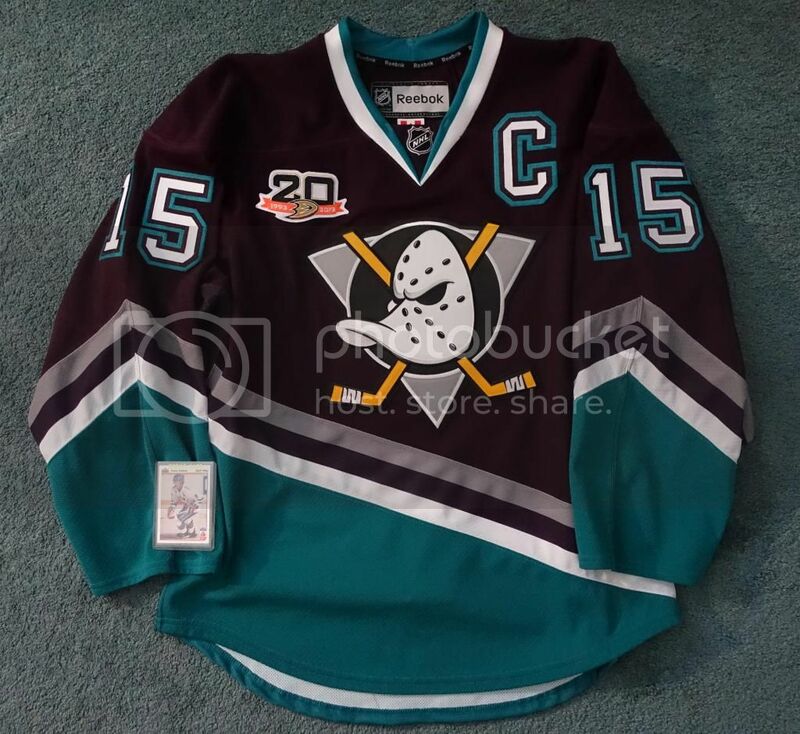 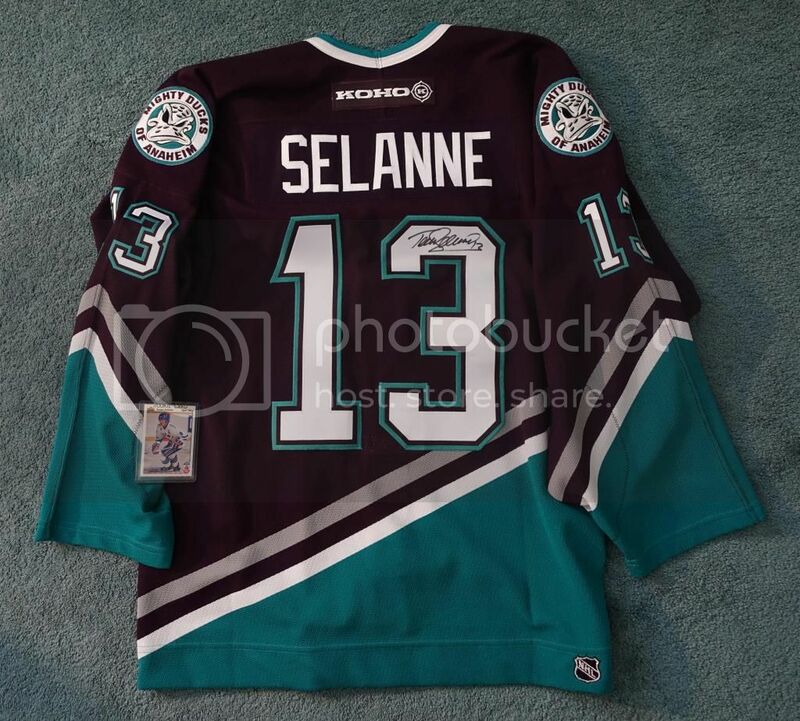 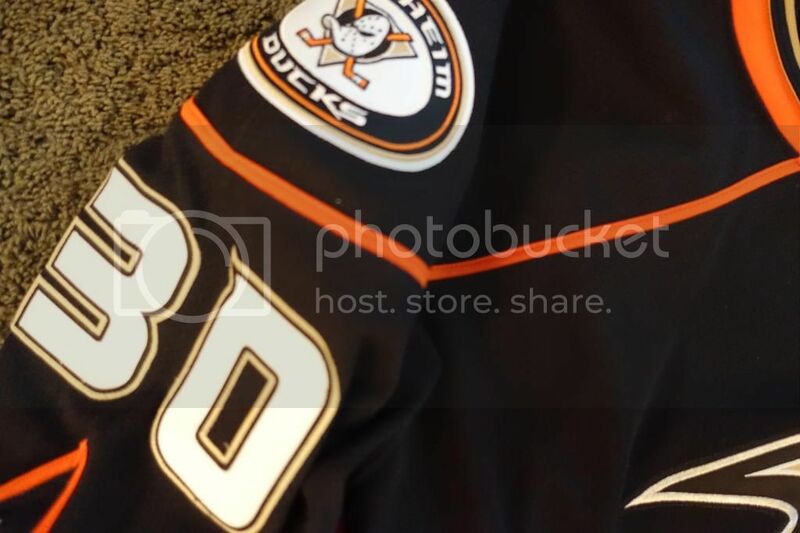 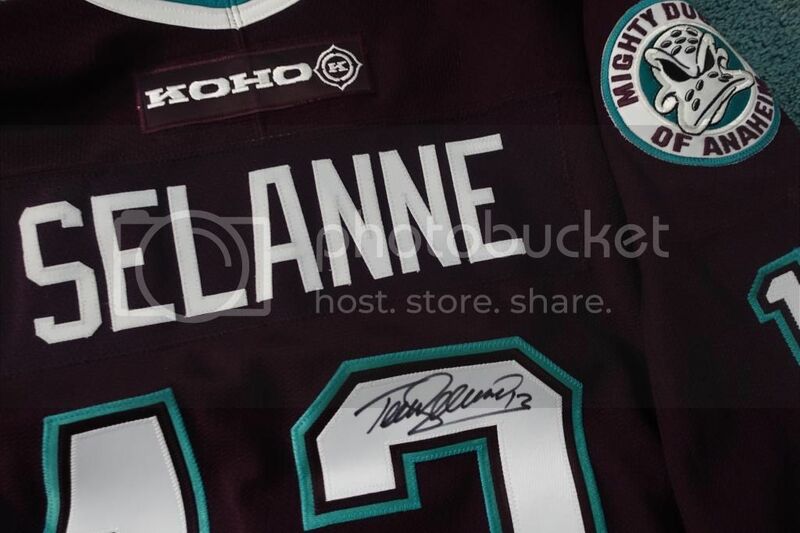 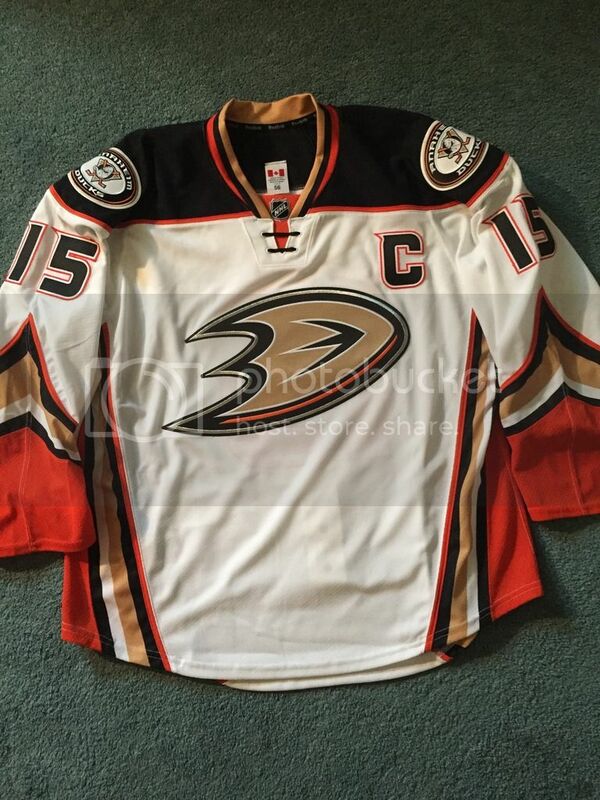 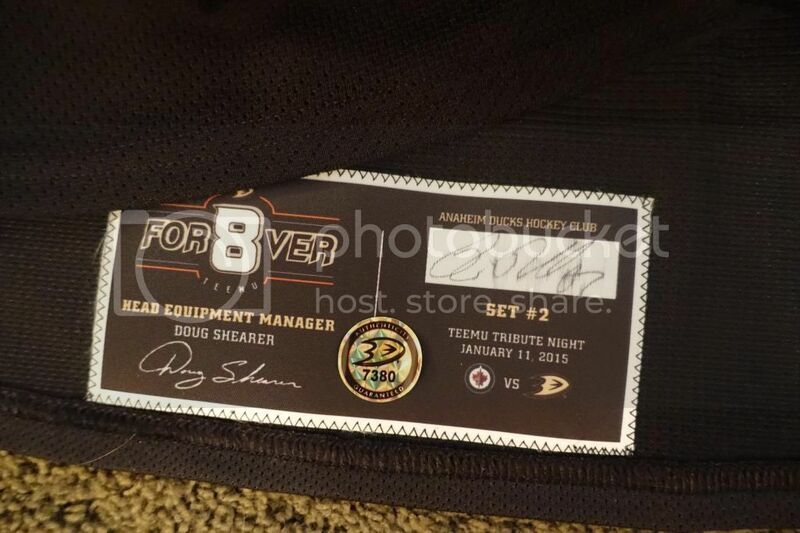 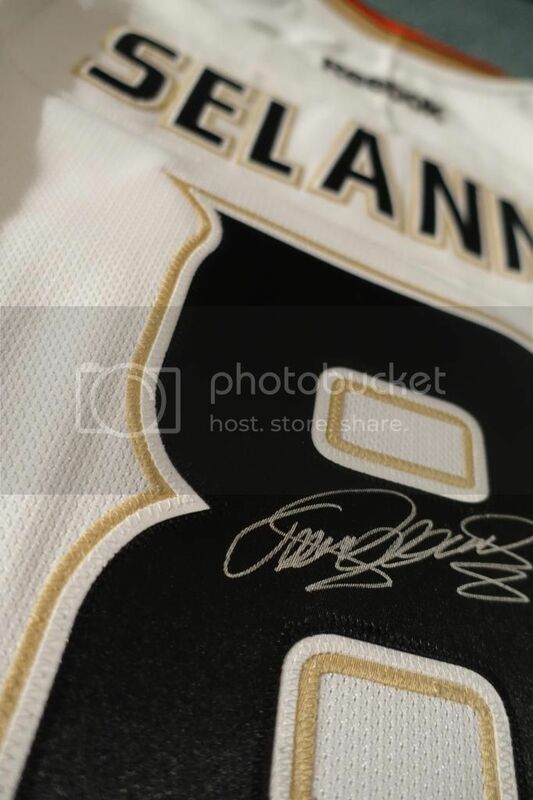 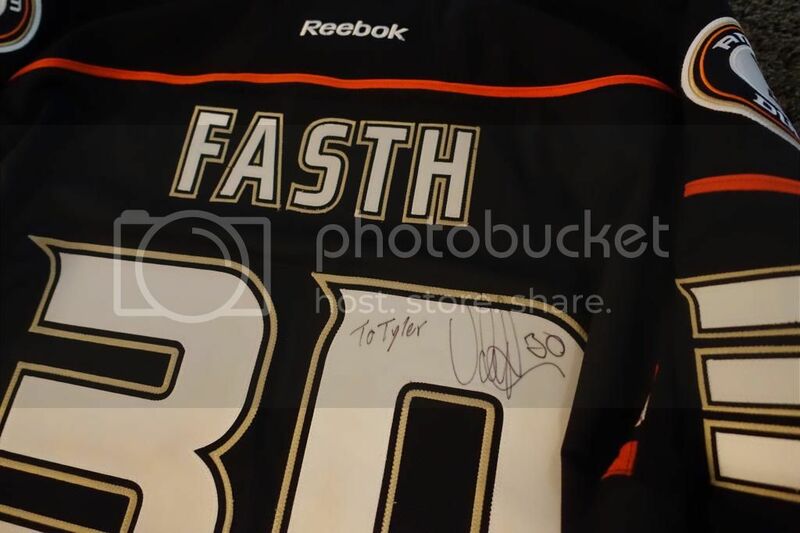 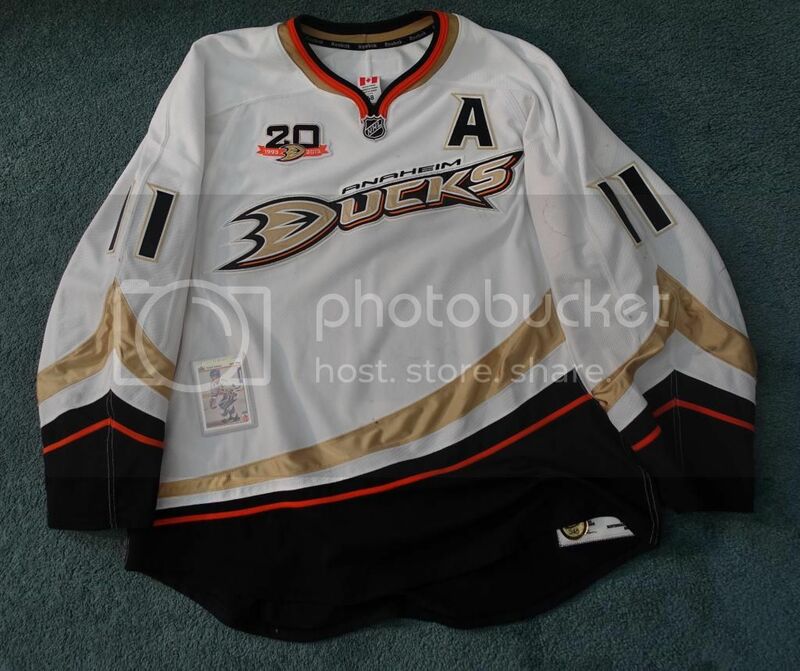 signed by teemu at honda center, asked him when he wore the jersey and he replied "during the lockout in the 90's one of my favorites"
home mighty ducks CAPTAIN C - Selanne 48 authentic Ultrafil - signed "to tyler, best wishes"
Unbelievable collection. 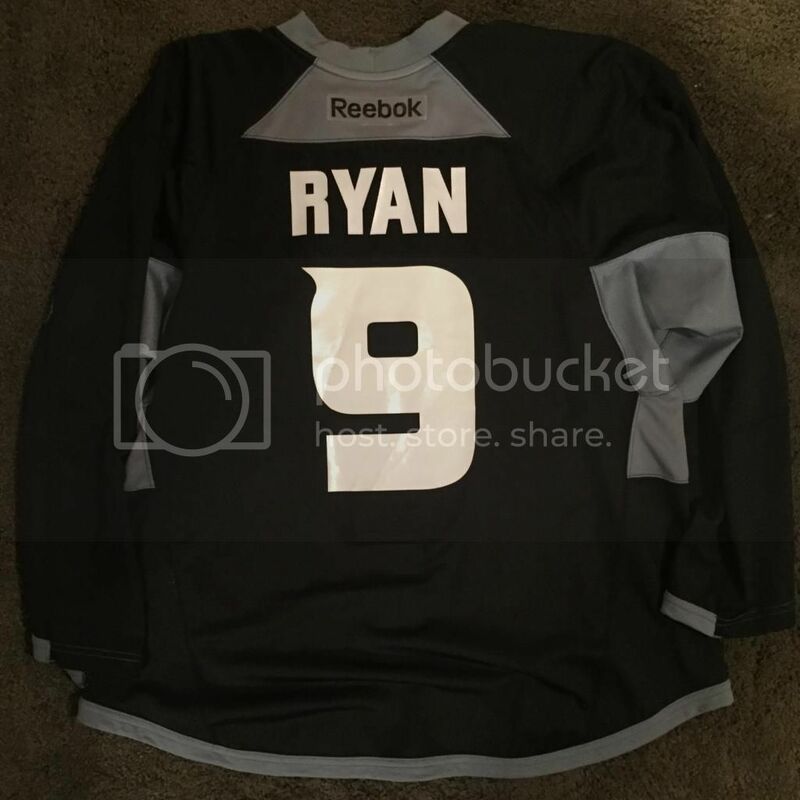 Once I saw your pickups in the New Arrivals thread I was excited to see your collection. 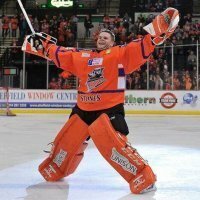 Definitely not let down! 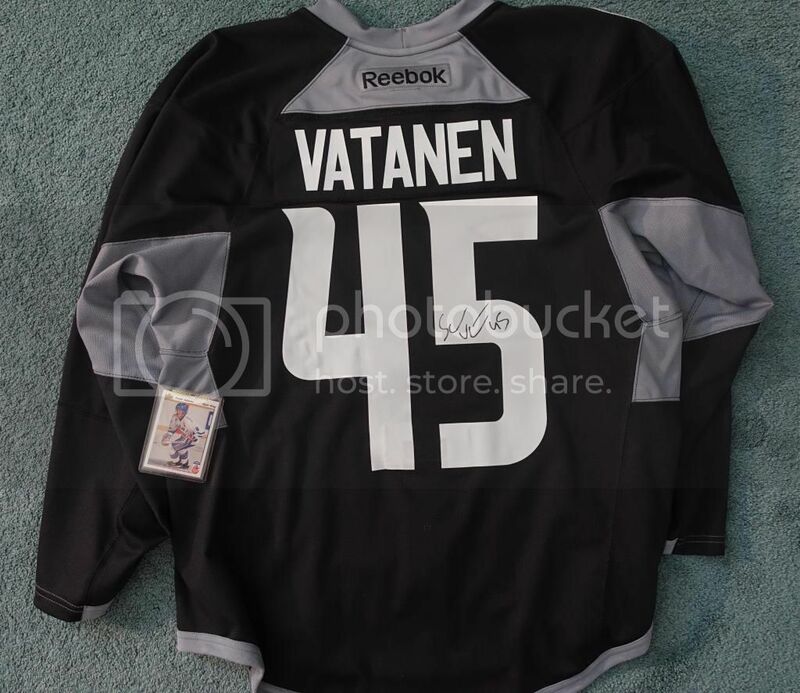 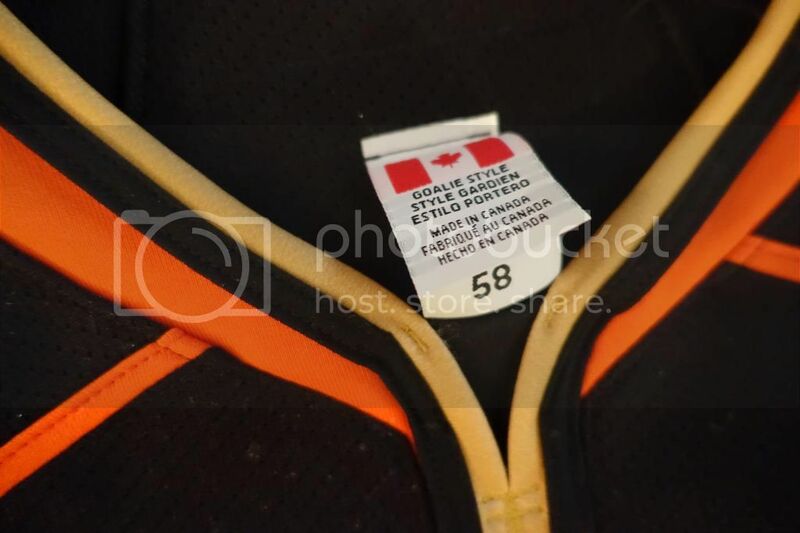 haha have a 2010 vancouver blue "home" replica large ill post later, always had a real hard time finding authentics of the international ones which is why i haven't gone that route. 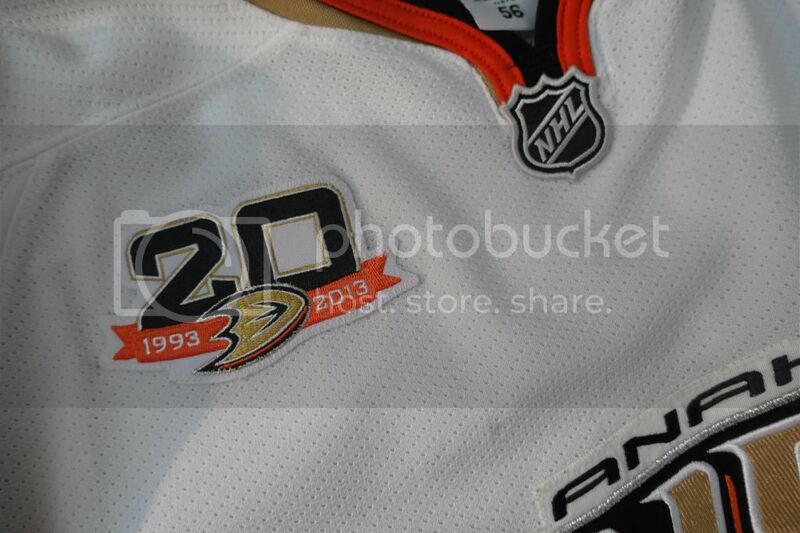 would absolutely love the blue and whites from the 2014's if i ever came across them though. 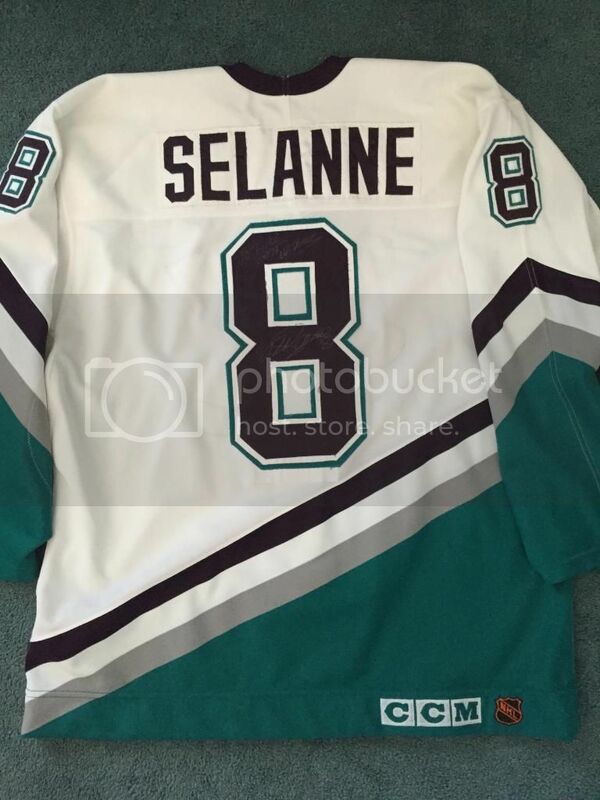 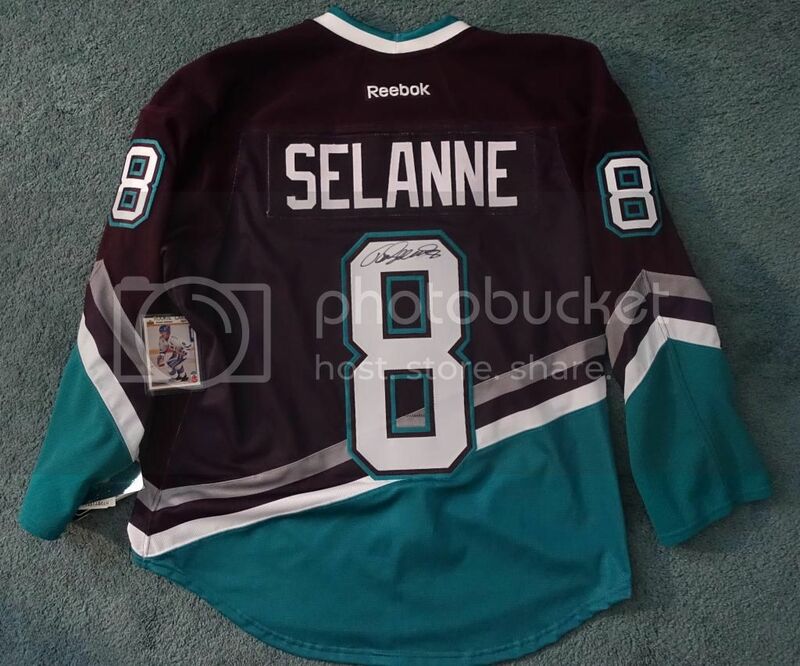 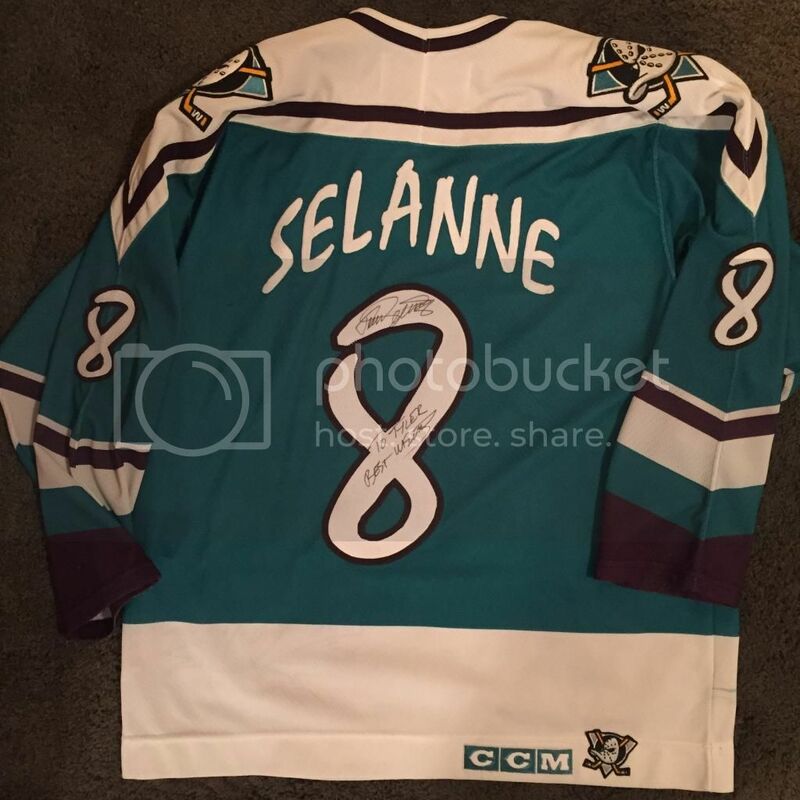 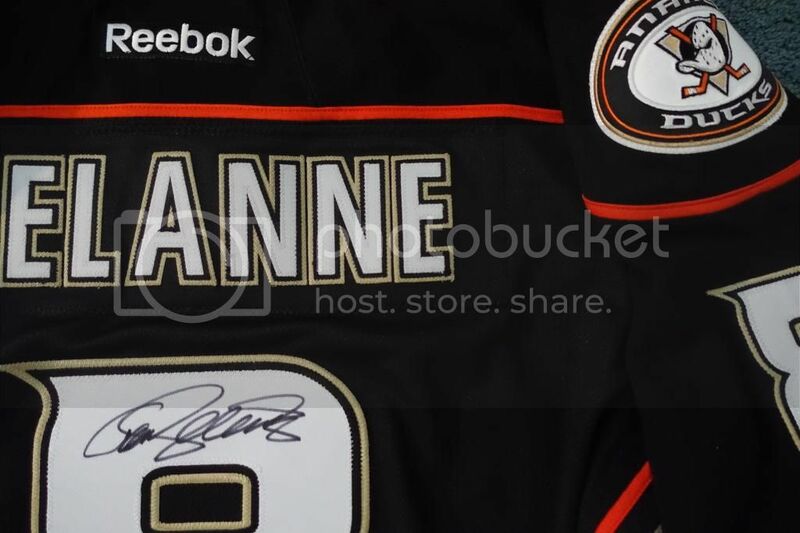 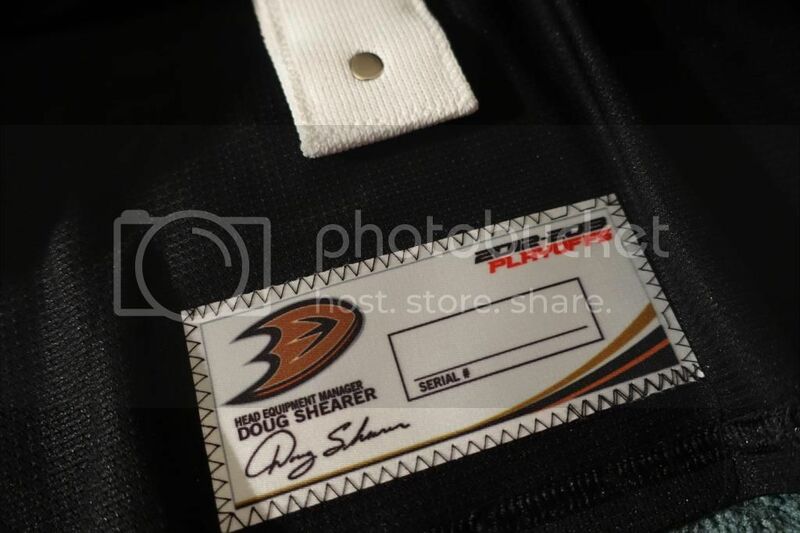 It's collections like this that remind me why a complete Selanne collection is my next challenge (after I complete my Aeros collection, which should happen in approximately 2050). 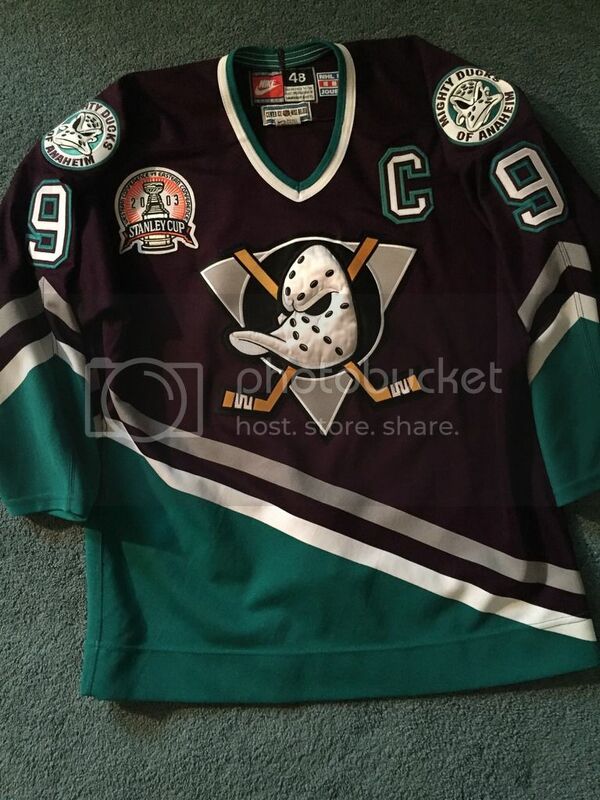 Wow... awesome collection! 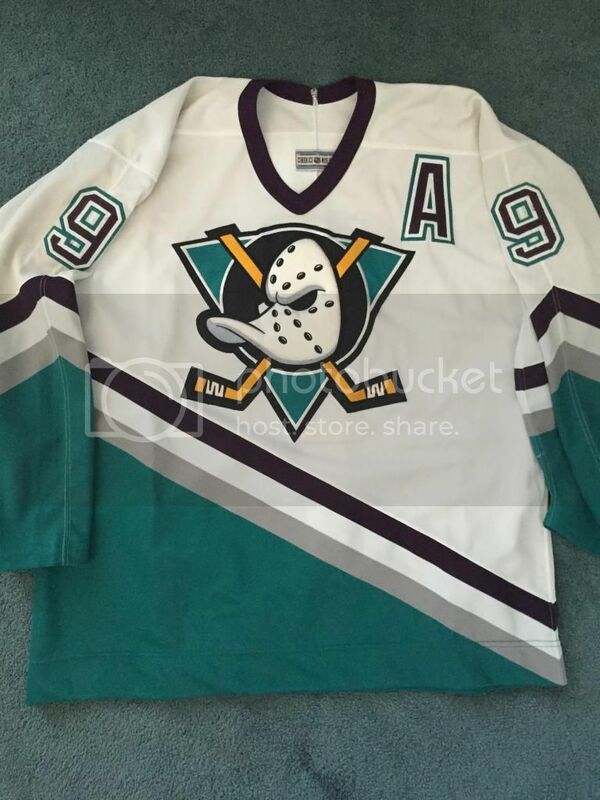 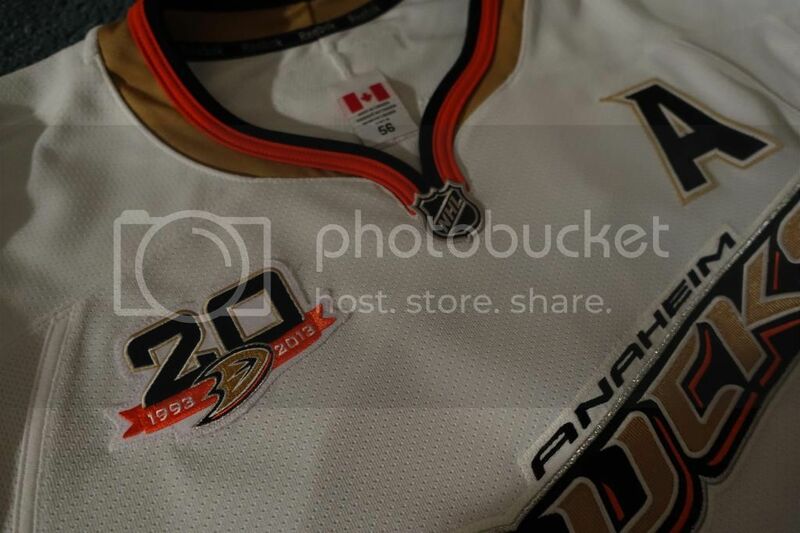 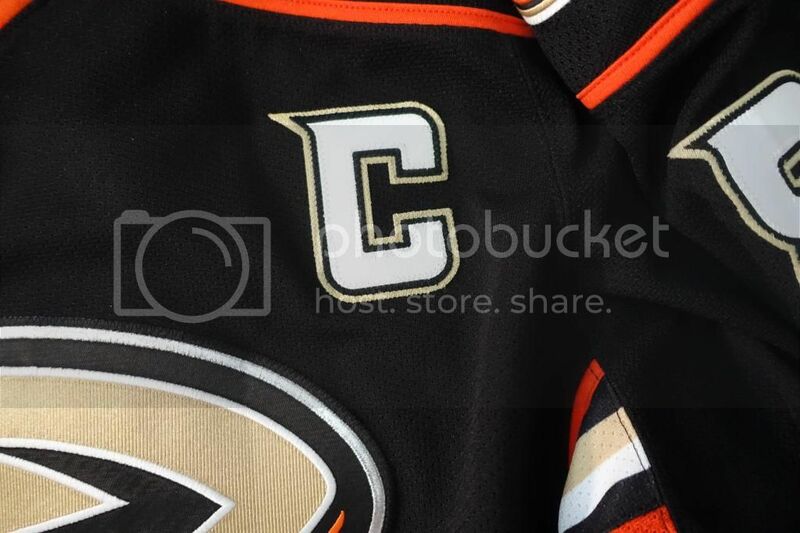 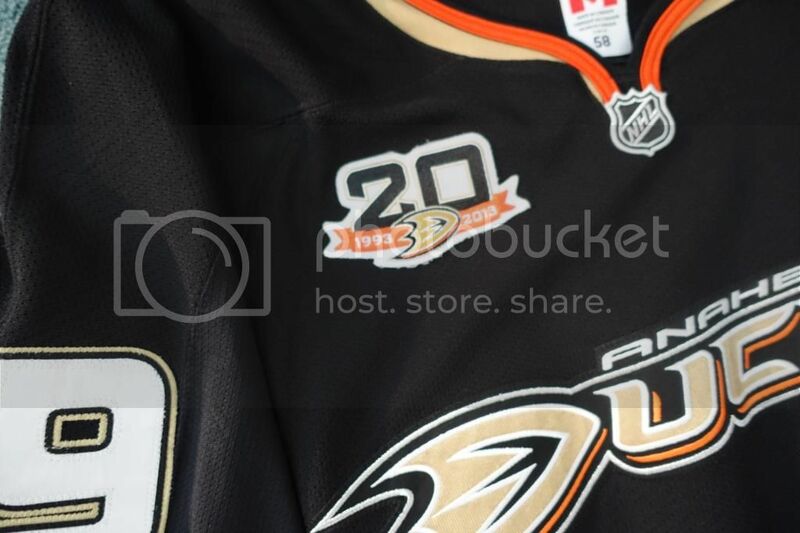 Thanks for adding a brief description/history blurb for each jersey.